If you are not a member of the most active autograph club in the world, you should be. The AdA1986.de is based in Germany, this club is a first class operation. It holds a yearly meeting each year in a historic city with an occasional meeting in Switzerland. The meeting last sometimes two days with visits to a historical building. All meetings have dealers set up with items for sale. The last few meetings had celebrity guests which were very happy to sign autographs free of charge. Celebrities such as world leaders, cosmonauts and even a Nobel Prize recipient have recently been guests. The club magazine is full page size, published quarterly and runs between 76 to 92 pages. Each magazine runs free want and for sale ads. I have been writing stories for each magazine for over 5 years. Over the last two years these are some of the stories I have written. Tony Galento-Heavyweight Champion who also ran for President of the United States. 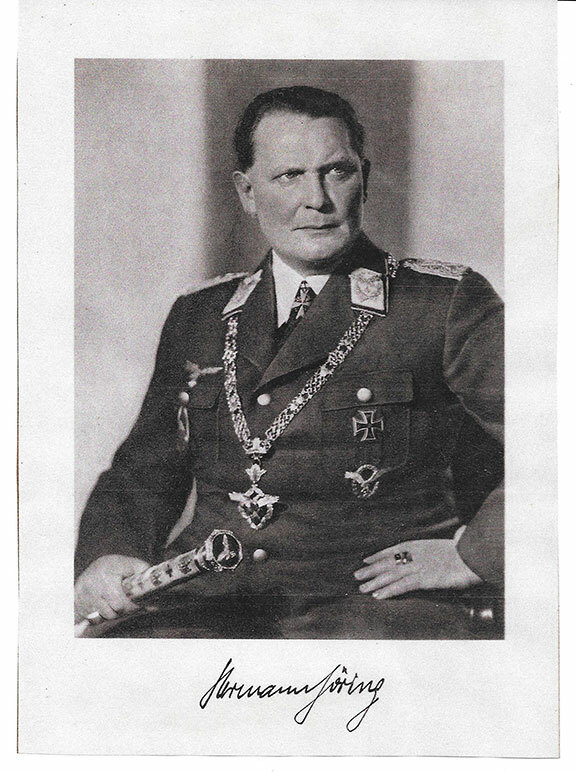 Herman Goering-Newly discovered printed signatures. Bill Clinton-Beware of signed books. Mother Teresa- A Saint, Her signatures. Charles Schulz-Beware of printed sketches. Eva Braun- Hitler’s mistress and wife. In an upcoming issue will be an article: The Assassination of Jesse James. It will contain illustrations of Robert and Charles Ford. Members of the James Gang. Robert Ford shot and killed Jesse James. Possibly the only known signatures. If the page comes up in German click on the box upper right corner for translation. Hope to see some of you at one of the meetings. The “Preferred Autograph Dealers” is a group of international professional autograph dealers. The list of members is quite impressive. Known as “PADAH” it is a division of the Certificate of Authentication Library. The library contains a massive collection of peddlers of autographs who issue worthless COA’s. 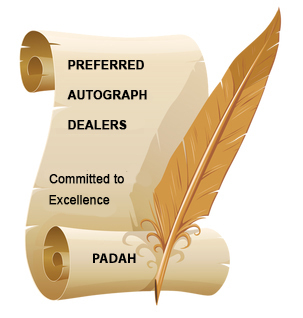 Members of “PADAH” do not have to issue a refund based on the incompetent guesses of high profile companies who claim they can authenticate autographs. 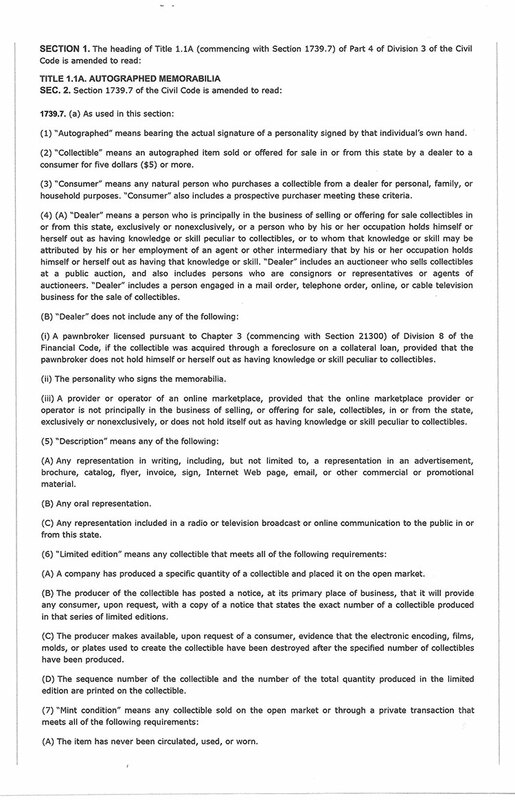 Should collectors choose to deal with those outside this list, which is updated regularly, “PADAH” will not be able to help you should you have a problem with what could be a rogue seller of autographs. 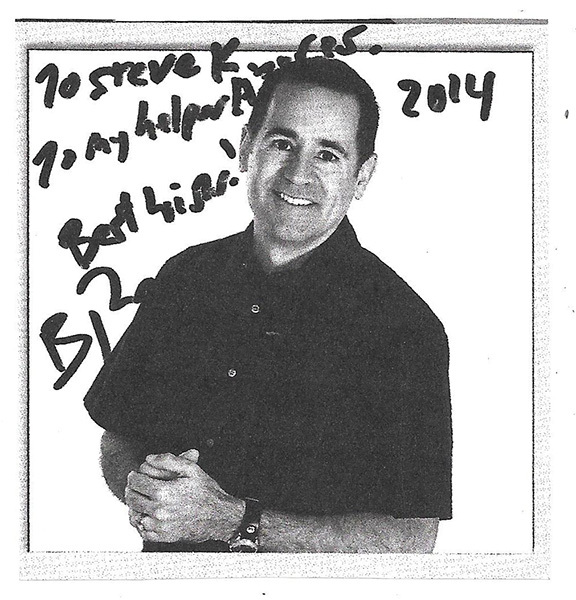 Steve Koschal has travelled around the worlds in the last few decades promoting the hobby of autograph. 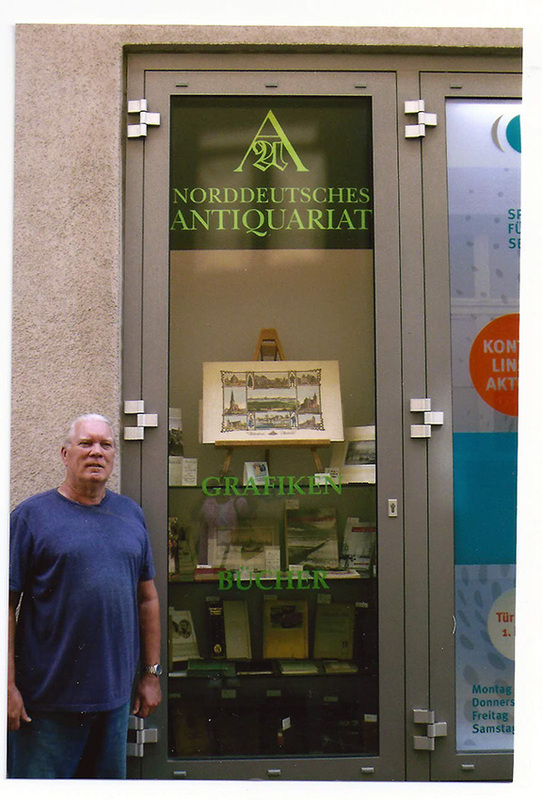 He is an award winning author of thirteen autograph reference books and has written over 300 articles on autograph collecting that have been published. He has been called "The International Ambassador of Autographs and "The father of Modern Day Autograph Collecting." He has travelled to every continent promoting the hobby. His recent adventure has been promoting autograph collecting in the Far East. Stating in the fabulous city of Singapore he has visited a handful of bookstores promoting autographs. See one illustration below. 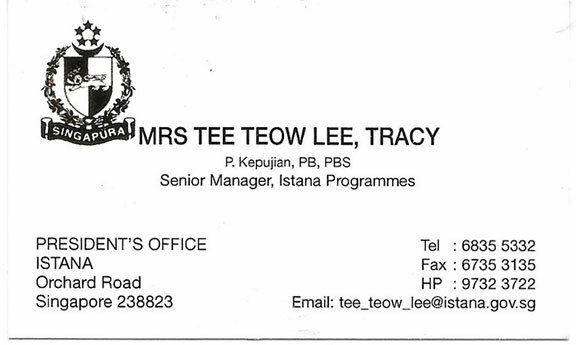 While in Singapore he befriended Mrs. Tee Teow Lee, Tracy, Senior Manager of the president's Office of Singapore. 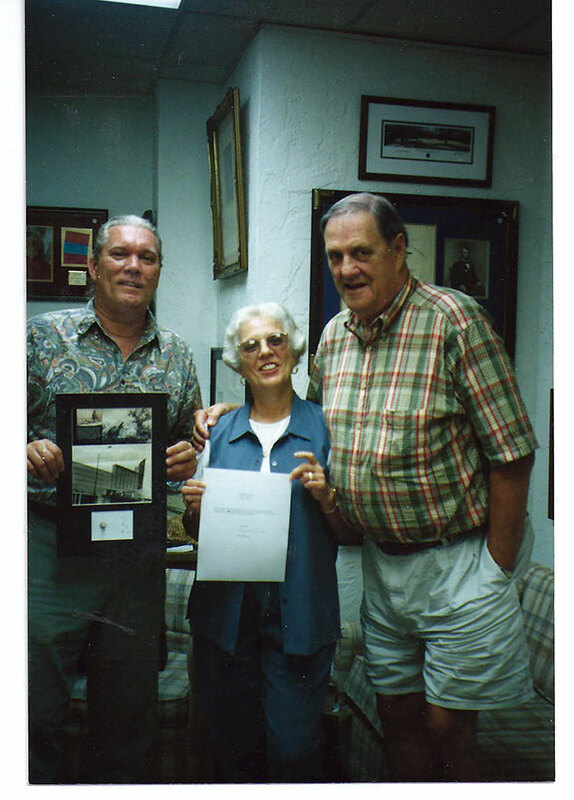 Steve Koschal and Pat Claren with Mrs. Tee Teow Lee. 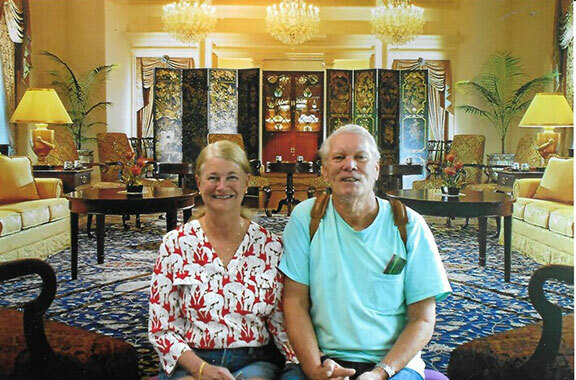 Steve Koschal and Pat Claren, a room in the Presidential Palace. 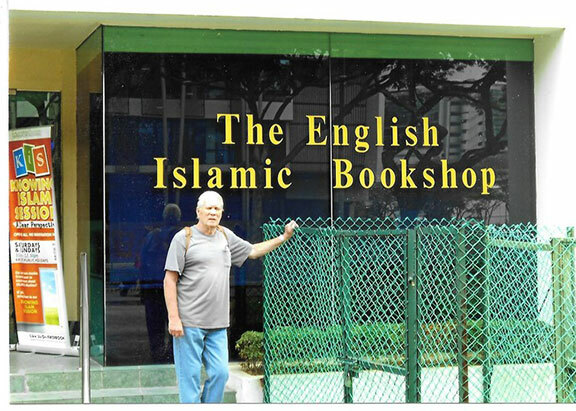 From beautiful Singapore we were able to visit small used book shops in Bali, Indonesia, beautiful Kuala Lumpur, Malaysia and Phuket, Thailand. 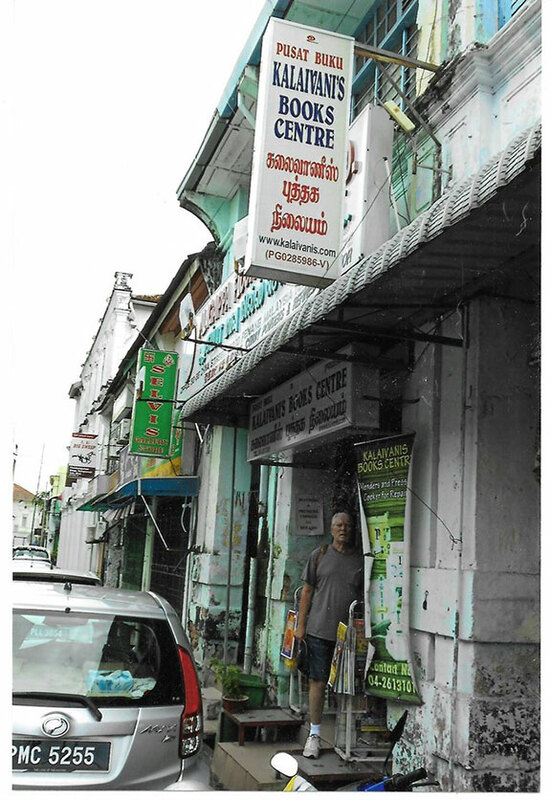 Very interesting used and rare bookstore in Phuket, Thailand. 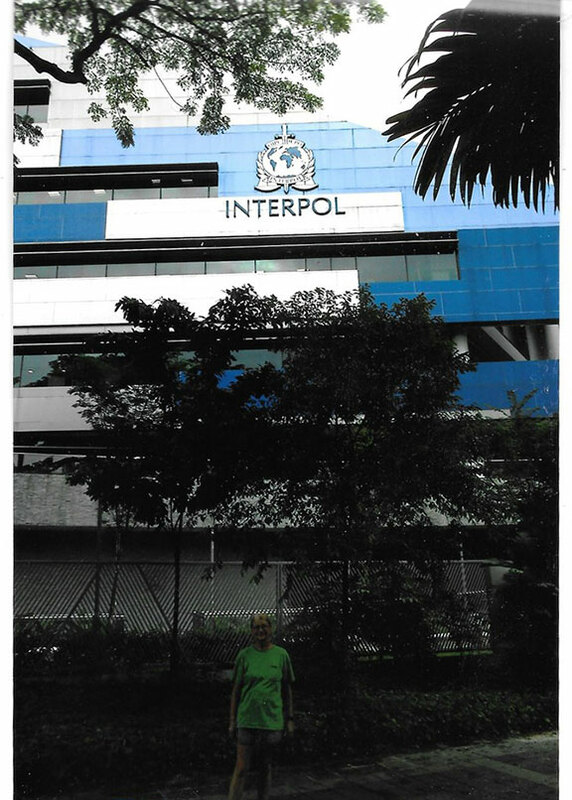 There was so much to see and do in Singapore we stayed there 6 days. Below is our visit to Interpool. 20 + Years of Experience - What Does That Mean? 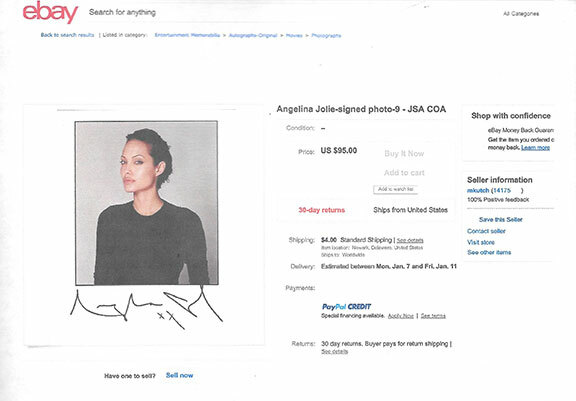 Offered on eBay 1/1/2019 Angelina Joli signed photograph condition 9 out of 10, Authenticated by a high profile company who claims to authenticate autographs. Impressive? Buy it now for $95.00. Seller has 14,175 Positive feedbacks. Still impressed? See illustration below. We purchase individual quality autographs and collections. After many years we have decided to dispose of part of the John Wayne Gacy personal files. These were copies of his letters sent to others and copies/original legal documents sent to him. Each item was hand signed by Gacy to indicate ownership. These items were filed and stored in his cell on death row. We start by listing several of these type items this month. 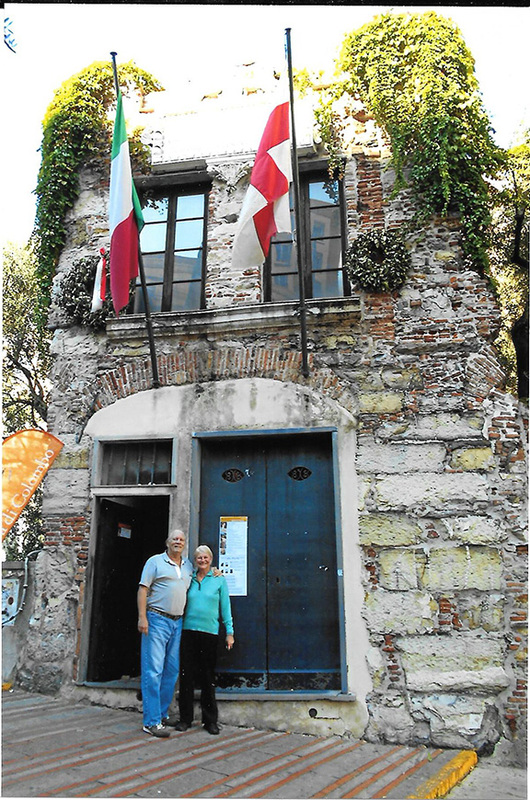 Both Pat Claren and I had a fabulous trip spending a full month based in Torre del Greco, Italy. We had an apartment in a 300 year old church/fortress complete with kitchen. 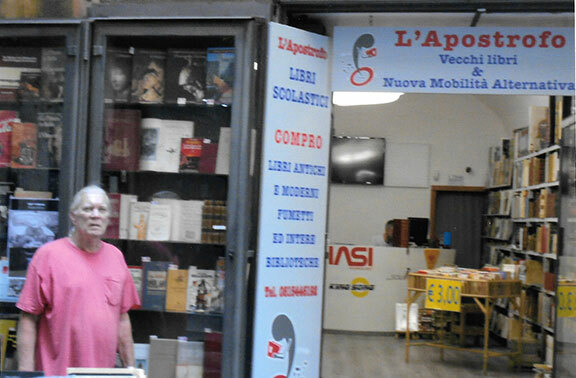 From this base we travelled several times by train to Napoli visiting about 17 shops that sold vintage books. At each shop we talked about autographs and signed books. 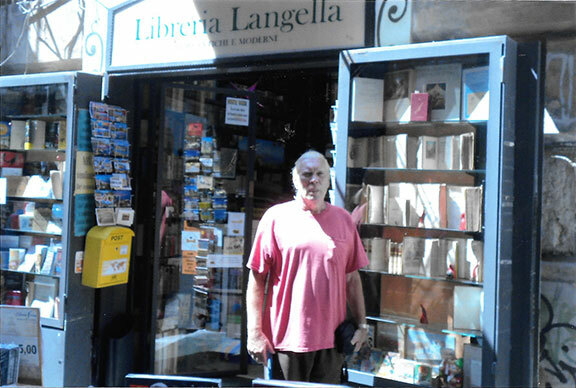 Other towns we visited looking for old book shops was the fabulous towns of Pompei and Sorrento. We made and survived the bus ride through the Amalfi Coast to the town of Amalfi. Anyone who has taken the bus from Sorrento to Amalfi knows what I mean. The guide said “to not worry when the passengers start screaming, it’s when the driver screams there’s cause for alarm”. 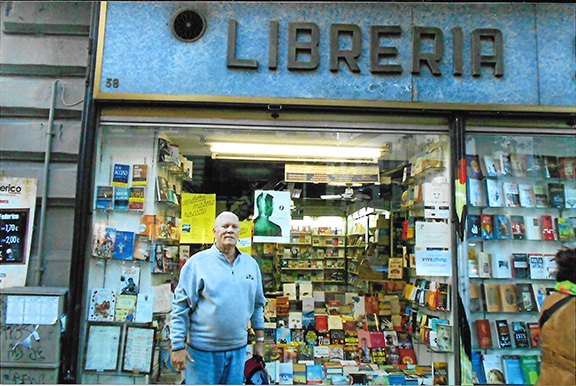 Another fabulous and classy town looking for old bookstores was Salerno. A few photos are illustrated below of different bookshops. My favorite was in Napoli. 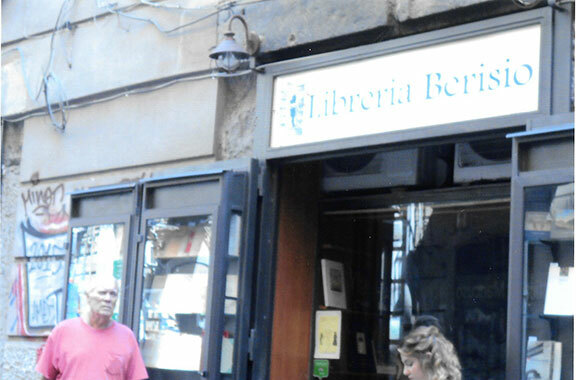 The Librerie Colonnese was two rooms chock full of rare books. The owners were friendly and very helpful. They are located just a few blocks from Napoli’s most famous pizzeria. Two hours wait to get in at all times of the day and night. On this day, Donald J. Trump A Signature Study & Autopen Guide became available for sale. 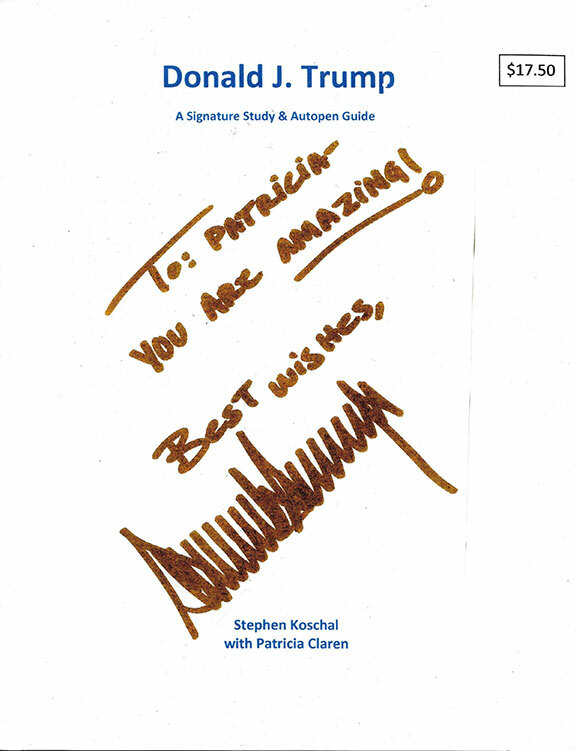 Award winning author Stephen Koschal along with Patricia Claren have put together a treasure trove of information regarding the signature of Donald J. Trump. This First Edition is limited to only 100 numbered copies with the first 25 signed by both authors. Ninety pages in length, one hundred and seventy illustrations and the covers are in color. Size is 9"x11". Up until now, everything one needs to know before purchasing anything signed by Donald J. Trump. This book will save you hundreds to thousands of dollars from purchasing something claimed to be signed by Donald J. Trump. This includes the thousands of items that come with a Certificates of Authenticity. Illustrated are many of those items being sold as genuine yet bear a signature signed by the Autopen machine. 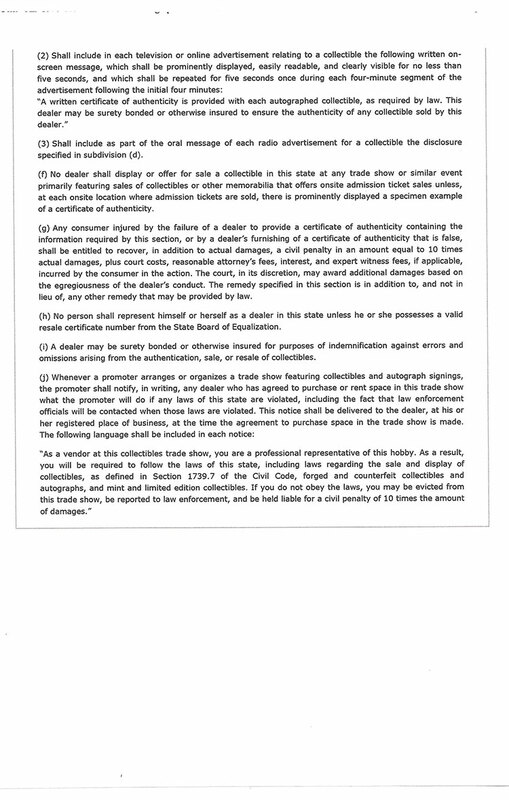 In addition, are items bearing forged signatures that come with COA's from those ABC type companies that claim they can authenticate an autograph. 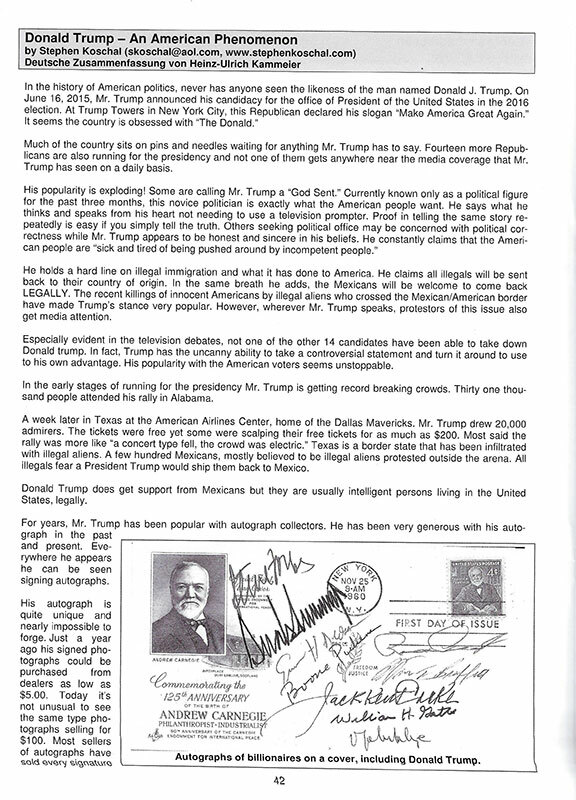 Covered is understanding the signature of Donald J. Trump. Also a long list of recommended dealers, sections on What to Collect, signed books, signed hats, signed golf related items, signed photographs, signed bookplates, signed currency, signed DVD's and more. Most interesting, yet shocking, are items that appear to be signed and inscribed by Donald J. Trump using an amazing new process. 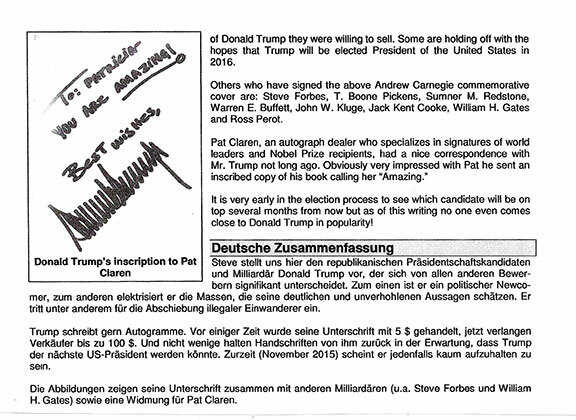 This important Trump Autopen guide is the beginning of what should be useful to all autograph enthusiasts. Our thanks to the hard word and research of Tim Hartis. There’s no question that original sketches of any of the characters of the Peanuts gang by Charles Schulz are extremely desirable. Genuine examples do exist in some quantity however starting back in the 1990’s a Chicago based so called autograph dealer did flood the market with fairly good forgeries. For years, I dealt directly with Charles Schulz and received many original sketches. We became somewhat of a trading partner. When he told me he admired the WWII cartoonist Bill Mauldin it was my mission to find copies of Mauldin’s books signed with sketches. I would send the book to Schulz and request a sketch of a Peanuts character. One time I received a fabulous sketch of Snoop is several different colors. Many fake sketches of Snoopy characters can always be found on eBay. Jean Schulz, wife of Charles Schulz would follow the items on eBay and when one was thought to be a forgery, she would have it removed. In the book “The Art of Charles M. Schulz” with an introduction by Jean Schulz contains a most interesting item that I just can’t understand. On the inside front cover is a blue ink signature (vintage style) Charles M. Schulz along with a sketch (possibly a self portrait) of a man lying in bed, his head on a pillow reading a book. I have seen these books being sold by dealers (several hundred dollars and more) stating the signature and artwork are original. It is that good! 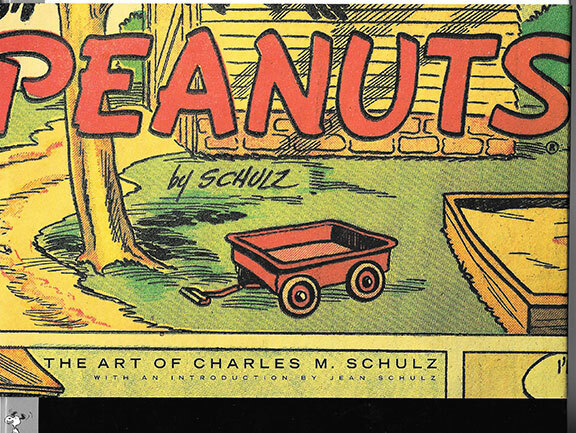 Worse, is that unethical dealers who realize this book was published after the passing of Mr. Schulz, have soaked the front cover in water, cut out the signature and sketch and had them framed or encapsulated and authenticated. See illustration below. There are thousands of this sketch in the public arena, all are facsimile’s. There is only one original and it is not for sale. It is my recommendation to avoid purchasing one of these sketches and to avoid the person selling it. Why, with Mrs. Schulz being so concerned about forgeries of her husband’s works help the immoral in the hobby of autographs by supplying them with something that can fool the uneducated? Recently in the last two-three months, I have received several items for authentication thought by the submitters to be items signed by Ernest Hemingway. Nothing can be further than the truth! My opinion is that the items bearing signatures of Ernest Hemingway were some of the worst forgeries of his signature I have seen in 50 years. There are quite a few example but I will illustrate two very poorly executed signatures of Ernest Hemingway with one bearing a forged signature of Fidel Castro as well. The first, illustrated below, is a book To Have And Have Not. 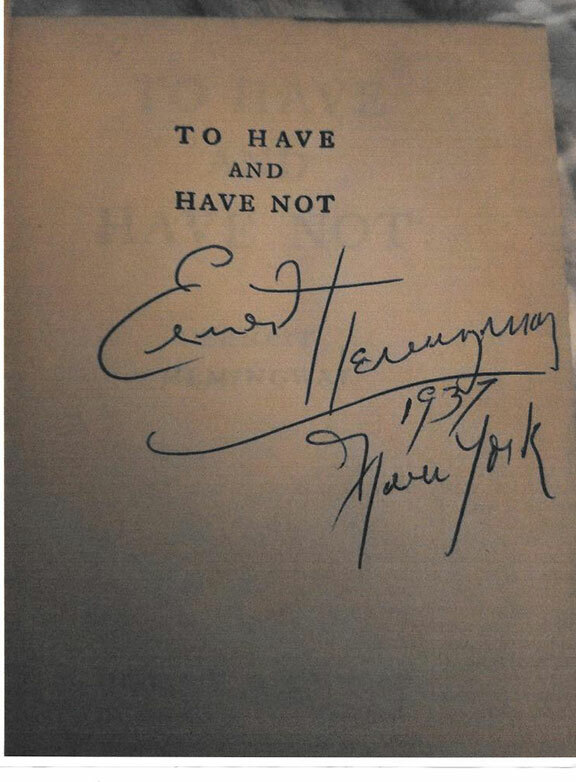 It bears a horrible forgery of the signature of Ernest Hemingway dated 1937, New York on the half title page. The second is much more interesting as this forgery has passed through the hands of more than one dealer/auction house who submitted this item to me for authentication. 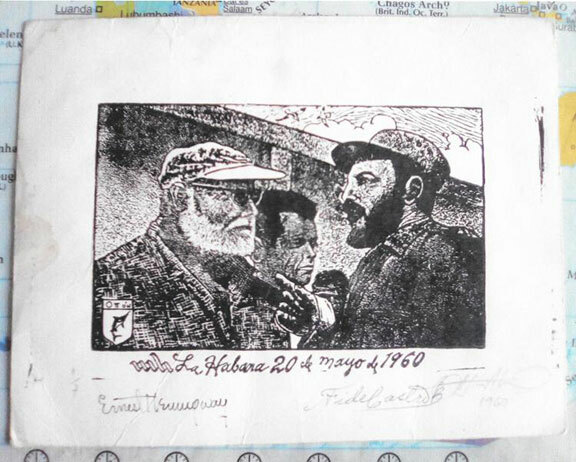 In my opinion, the signatures of both Hemingway and Fidel Castro are both forgeries. See below. Most interesting is that the owner of this forgery submitted this item to be placed in an auction. The auction house sent this item to me for authentication. They were issued a Certificate of examination stating both signatures in my opinion are forgeries. The item was returned to the owner. A month an d half later, this same item was sent to me for authentication by a different auction house. Bear in mind the owner was already told the signatures were not genuine and he is still trying to pass this off. The second auction house got the same response, NOT GENUINE. There are many items like this all coming out from a person in Bonsall, California who has a very shady and documented presence dealing with autographs in the past. This same individual purchased an old baseball mitt for $750. on ebay in January 2012. miraculously a Babe Ruth signature later appeared on the mitt and this individual sold the mitt for $200,000. BEWARE OF ANY ITEMS OFFERED AS AUTOGRAPHS THAT COME OUT OF BONSALL, CALIFORNIA. It’s very sad to see what’s going on in the autograph industry in California. It’s become very complicated with a new law. Most dealers in that state interpret the law differently and handle sales differently. It can become very complicated, filling out forms and more. We are now starting to see dealers out side the State of California who sell autographs posting similar messages on their web sites like the following. Mickey Mantle is a magical name in the history of baseball. Many collectors believe he is the second most popular player in the sports hobby when it comes to collecting his memorabilia. The amount of forged signatures that have sold in the hobby are enormous. Many of these forgeries come with Certificates of Authenticity from most all the companies who claim they can authenticate autographs. Here seems to be no end to what forgers will attempt to fool uneducated collectors. At times it get to be a point of being ridiculous. For example not long ago, at auction a baseball was offered said to be signed by Bill Wight. His signature on the ball was authenticated by PSA/DNA. 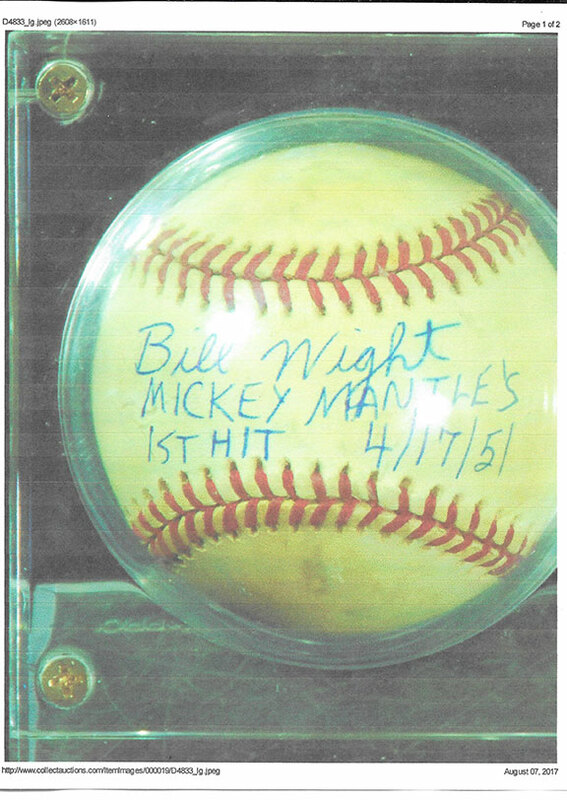 Under the described signature of Bill Wight, apparently by the same hand was written: “Mickey Mantle’s 1st Hit. 4/17/51.” See illustration below. 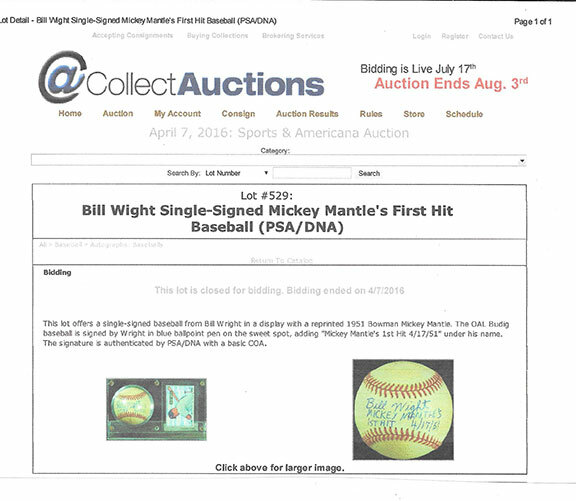 Less than a year later, on eBay another Bill Wight, Mickey Mantle’s 1st Hit 4/17/51 baseball is offered by a seller in the Bronx, New York. This seller looks legit…because he has 2,152 feedbacks and 100% of them are positive. See illustration below. During this sale a third Mickey Mantle 1st Hit Baseball is offered on eBay. Someone must have complained because the item was quickly removed from the auction. A third "1st Hit" Mickey Mantle baseball. One can almost bet that there are more of these baseballs out there. Who can anyone believe? ETHEL WATERS (1896-1977). American blues, jazz and gospel vocalist. Actress. She was the first singer to perform W.C. Handy’s “St Louis Blues” in public. Waters sang her famous hymn “His Eye Is On The Sparrow” at numerous Billy Graham crusades. She has documented many of her encounters with most of the black greats during her time including Jim Crow. Ethel Waters acted and sang in vaudeville, movies and on many television shows. She became the first African American star of a national radio show. She was the second African American actress to be nominated for an Academy Award. Jan White, an award winning columnist wrote a story in the Andalusia Star News on January 23, 2016 about an Ethel Waters book. She wrote: “One reason I ordered “To Me It’s Wonderful” is because the author had autographed the title page. The cursive letter reads: “In his precious love, Ethel Waters.” Actually some dealers read this ad describe the sentiment and signature as “I’m his precious soul, Ethel Waters.” See below, you decide! 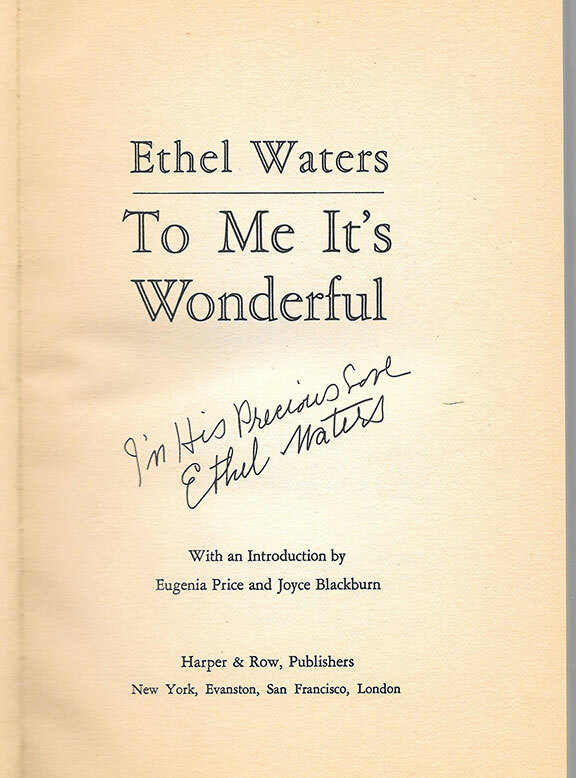 What I have decided is that this sentiment and signature in the book is not personally written by Ethel Waters but it is printed on the title page in every single copy published. In checking with just one rare book sight on the Internet I found 37 book dealers selling this as a signed copy. Eleven dealers had a hard cover copy and 26 book dealers were selling the soft cover edition. Even though the sentiment and signature is a printed example, the dealers were about split in half about how they read the sentiment. Signatures of Ethel Waters are desirable amongst collectors and a nice genuine example should be worth in the area of seventy-five dollars. It’s amazing in this hobby of autographs how something can go undetected for several decades. 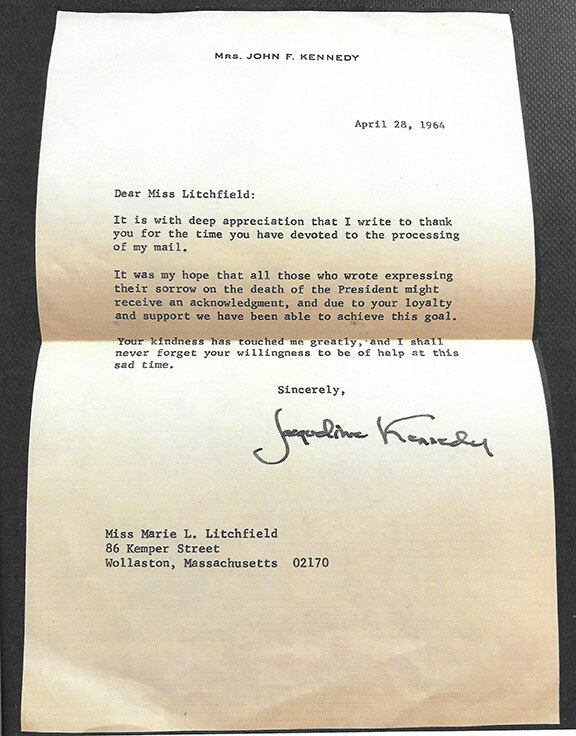 Letters signed by Jacqueline Kennedy can sell for hundreds to thousands of dollars depending on the content and condition of the letter. Signatures of Jacqueline Kennedy on letters, photographs, The White House cards, engravings and more should always be examined with suspect. Mrs. Kennedy did use the “Autopen” and at least two secretary’s that have been identified who signed her name. Recently discovered is an example of a Jacqueline Kennedy “Autopen” signature that is confirmed. It took over fifty years to identify and document this signature as a machine example; See the two illustrations below from the year 1964. 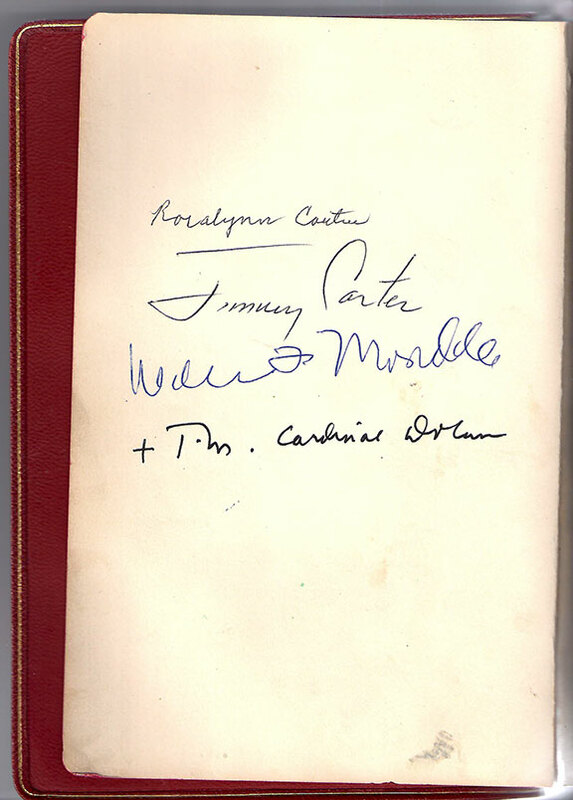 Signed by the “Autopen” machine, May 8, 1964. My thanks to Mr. Erhard Betz, President of the International Autograph Collectors Club (www.ada1986.de) home based in Germany for his help in discovering one of these examples. When someone visits my office it usually means something exciting is about to happen. I don’t get too excited after 50 years being in the autograph and collectible visit. But yesterday Todd Mueller came to my office on his way back from what he felt was a major find. Before looking at his latest purchase he wanted to sit down and go over the provenance. The provenance was very good traceable back over 100 years. The items in this collection was sitting in our own backyard here in the Colorado Springs and Manitou Springs area (Indian Country). An elderly woman has these items in her possession for over 100 years and was given to her by a notable person who was friendly with Elizabeth B. Custer and many Indians. The first item I examined was a wonderful handwritten letter by Elizabeth B. Custer mentioning Indians. The collection once included General George A. Custer’s uniform and quite about a paper related items and letters but they were donated to the Custer Museum near Little Big Horn. Held onto were other Custer related personal items. Included in the sale to Todd Mueller was Custer’s personal shaving kit and his binoculars. 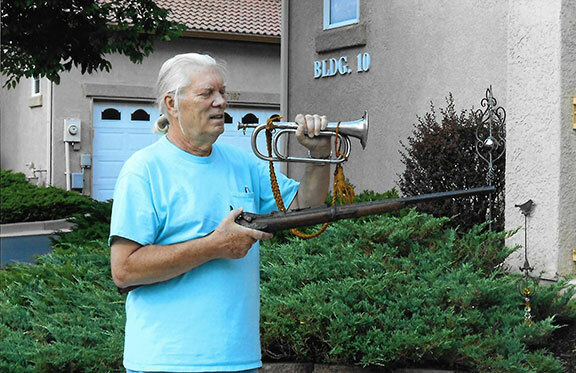 Highlight’s of the sale is a bugle made by the Wurlitzer Company and Custer’s Springfield rifle. These items and more will be consigned to an auction of Mueller’s choice before years end. 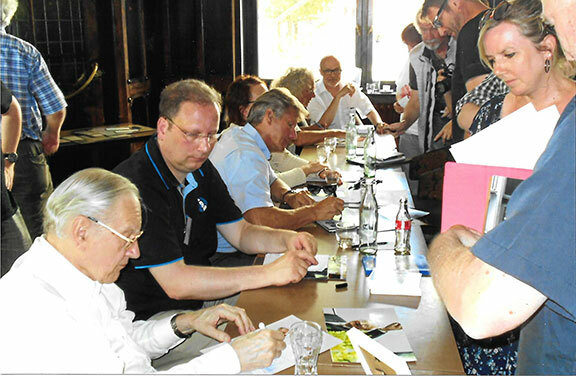 Have you noticed more and more collectors have been joining the International Autograph Collectors Club (www.ada1986.de). Not to mention professional autograph dealers from around the world are displaying the club logo. The club quarterly magazine has become a collectors item, 80 pages in length with articles written in English. The support from collectors is outstanding. The club has more articles lined up to fill the magazine for two years. Not surprisingly, according to the treasurer, this club seems to be unique as they have money in the bank. Membership comes from around the world with collectors from all over Europe, Russia, United Arab Emirates and an increasing number of collectors and dealers from around the United States and more. One goal of the club’s Board is to build an Autograph Museum in Switzerland. The building has been chosen and the club needs approximately 150,000 Euros to get it going. This, if it happens, will benefit the entire International Autograph Community. 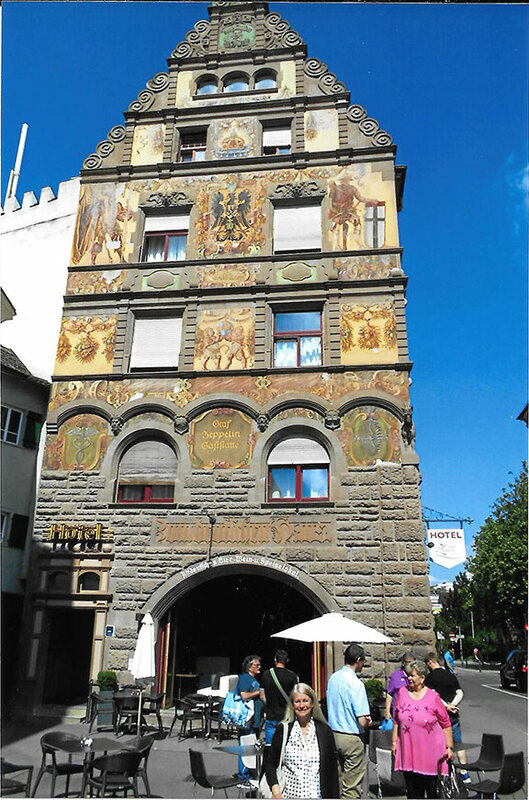 The club just had their yearly meeting in beautiful Konstanz, Germany. 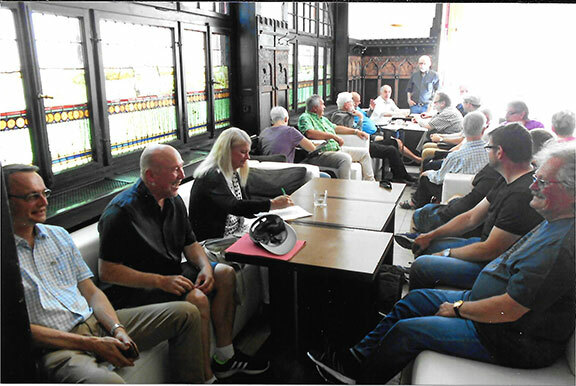 The Board of Directors, club members and autograph dealers and special autograph guests met in the Hotel Graf Zeppelin. The meeting opened with the members of the Board and some close friends to discuss the direction of the club, finances and were open to suggestions. Markus Brandes had an unbelievable display of items pertaining to the Zeppelins with many documents signed by Ferdinand Graf von Zeppelin and other notables. The large, impressive collection filled an entire wall of the main room. Dealer tables were set up and selling was very brisk. Prices were very reasonable and it wouldn’t take long to purchase enough quality items to pay for your trip. Very popular were the celebrity guests. Each guest signed whatever was put in front of them. 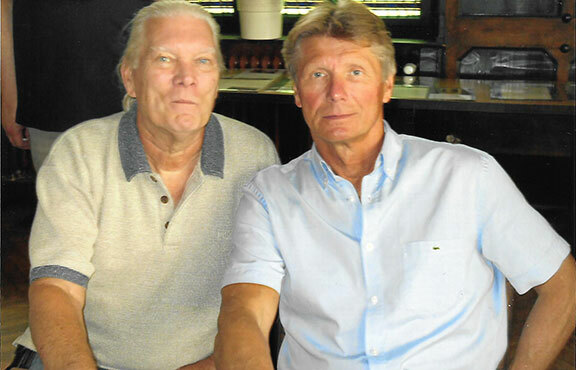 Two of my favorites were Russian Cosmonaut Gennady Padalka who holds the worlds record for time in space, 879 days. We can thank Florain Noller for the Cosmonauts appearance. As many known, Florian is the leading world’s expert on signatures relating to the space program. He is the final word on authenticating these types of autographs. Another favorite and extremely popular celebrity guest was Nobel Laureate Richard Ernst (Chemistry in 1991). A very good friend to autograph collectors Mr. Ernst even brought to the show his original Certificate for his Nobel Prize. Both the Cosmonaut and Nobel Prize winner spoke and took many questions from the room. German hippie writer and filmmaker Rainer Langhans was also on hand speaking and signing autographs. The lines were long while collectors and dealers waited for autographs from the celebrities. signs for those in attendance. Introduced at this show is the new club brochure and membership application. Also attending the show it was a privilege to meet Sabine In gold who wrote the recently published 32 page booklet on John F. Kennedy and those associated with his assassination. Amazingly, in this day and age, there was no charge for autographs. After the show we all went to dinner at a wonderful restaurant right on Lake Constance named Brigantinus. The food, drinks and service was outstanding. Our hats off to Markus Brandes who did an outstanding job running the show from beginning to end. Never a week goes by without being asked what was the most unusual item I have authenticated. Since I have been authenticating autographs since 1967 many strange items have come my way. Some of the items came my way through some of the high profile companies who claim they can authenticate autographs but were unable to do so and wanted my opinion. If I have to come up with just one item I would say it was authenticating signatures on a piano. 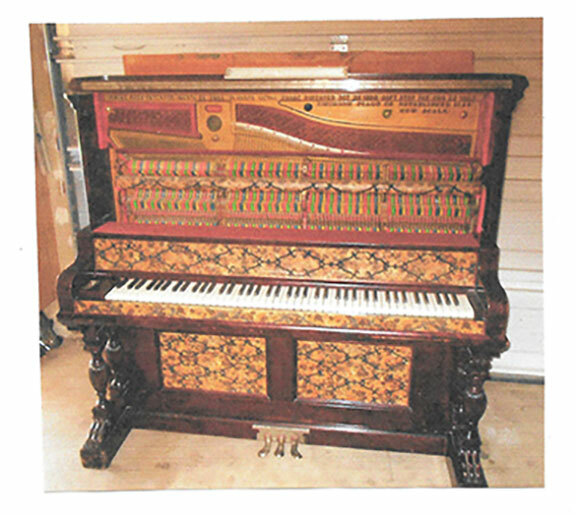 The piano comes from the popular western TV series Bonanza. It ran on NBC TV from 1959-1973. It lasted 14 seasons with 431 episodes. When the top is opened, the long golden board on the right side contains a dozen signatures, some associated with the Bonanza TV series. Signing are Lorne Green, Dan Blocker and Michael Landon adding “Little Joe” after his signature. 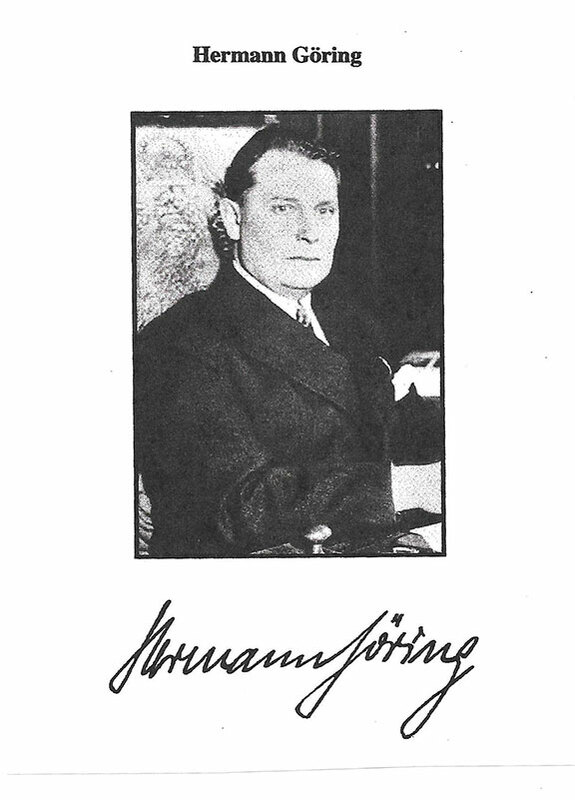 GOERING, Herman (Jan. 12, 1893 October 15, 1946). German WW1 fighter pilot and Ace credited with 22 victories. Goering joined with Adolf Hitler in 1922 and was at his side during the failed Munich Hall Putsch. Goring was badly wounded and became addicted to morphine for the rest of his life. At the outbreak of WWII Goering was named Supreme Commander of the German Air Force. Hitler lost faith in Goering and thought he may have been a traitor. Hitler ordered Goering’s arrest and execution. Goering avoided arrest but was captured by U.S. forces on 9 May 1945. At the Nurnberg trials Goering was found guilty and was sentenced to death. He committed suicide in his jail cell behind the courthouse on October 15, 1946. He did this two hours before he was sentenced to hang. Jailers still took his body and hung it. 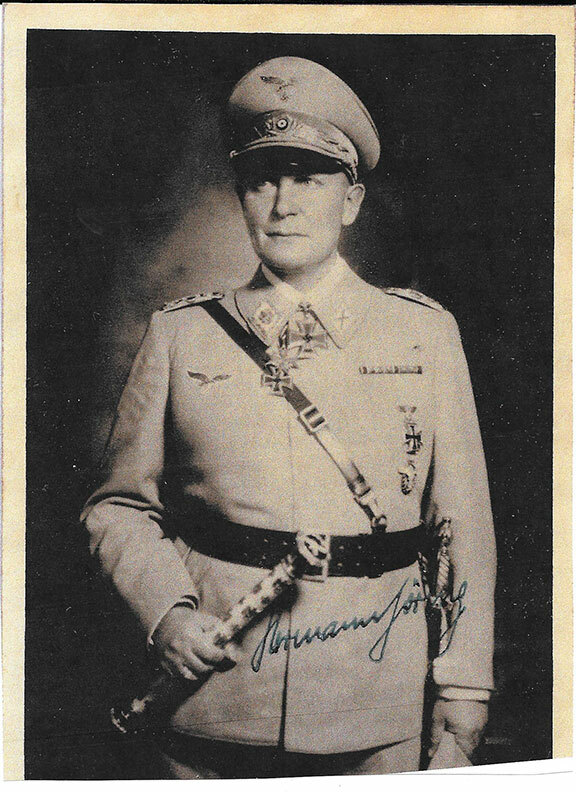 The autograph of Herman Goering is highly desirable by collectors. They are available in most forms such as documents signed and signed photographs are especially desirable. The problem is there are many signatures of Herman Goering that are forged. In addition signatures that were thought to be genuine are printed signatures. 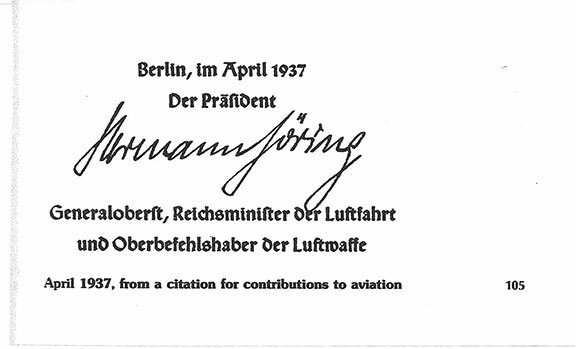 In Charles Hamilton’s book, “Leaders and Personalities of the Third Reich” published in 1984, at the bottom of the page Hamilton reproduces a signature of Herman Goering that he states is from a Citation For Contribution to Aviation, April 1937. Evidently Hamilton was not able to detect that this signature was not hand signed but was a printed signature. Published in 1996 a very popular reference book “Signatures of the Third Rich” by Emile Caldwell Stewart illustrates on page 76 a signature of Herman Goering. It is not known if she twelve years later copied the signature from Hamilton’s book? This is not know but both signatures are identical! Recently, I have discovered two photographs believed to be genuine and offered for sale by collectors to Todd Mueller. They ended up in Todd Mueller’s garbage can but was salvaged by me for this article. See illustrations below. It is quite evident that all four signatures illustrated above are pre-prints. Since autographs of Herman Goering are relatively expensive having this info can save a dealer or collector a handsome amount of money. Part 2: I remember well back in the late 1970’s ordering what was described in a catalog as a handwritten letter by Salvador Dali. I knew Dali quite well and have been in his company more times than I can remember. We would walk the streets of New York with him pointing out all the fabricated limited edition prints that look like his artwork and with signatures that could pass a novice in the hobby. He signed hundreds of items for me through the years but I never had an A.L.S. This item was in the catalog of the great Paul C. Richards. Upon receiving the item it was obvious to me that the handwriting was not by the hand of Dali but by the hand of his wife Gala. Dali did sign the letter. Now, that’s class! I sure miss talking to Paul at the shows and in his office. Part 3: Charles Hamilton. I knew Charles for almost 30 years. He passed away in December 1996. We had for many years an off and on relationship. During the 1960’s and early 1970’s I was basically a customer bidding at his auctions. During the mid-seventies I discovered he had boxes of autographs that he could care less about. Everything in the first box was $5.00. You could take 2 hours to go through that box. Charles was a great talker. It was hard to get a word in. However, in my opinion the real autograph expert in that office was a fellow who spent much time in the back room doing the research. His name was Keith Thompson. I got to know Keith well, he would purchase items from my catalogs, we would meet in Pennsylvania to attend the regular fabulous Gimelson Auctions. Keith even sent me his obituary to publish upon his passing. Quite a guy with a wonderful sense of humor! 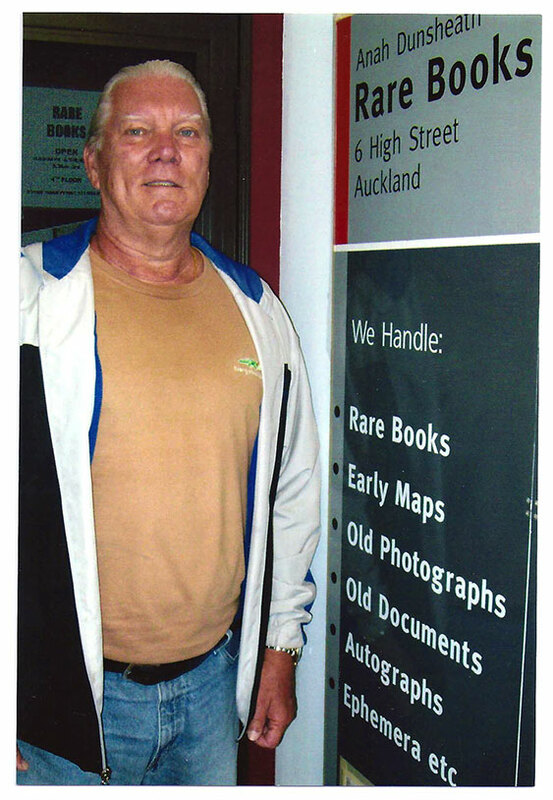 At the Hamilton Auctions, for newcomers, Charles Hamilton was treated almost like a God. Even many of the seasoned collectors and dealers approached him like a celebrity. Charles and I fought many times over autographs. Some that I remember was a fight over the authenticity of some documents said to be signed by Napoleon. 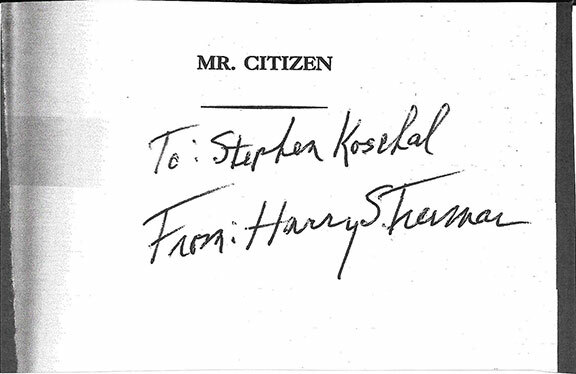 There was a major battle that went on for quite some time about the old age signatures of Harry Truman. Charles finally agreed with me when I showed him an “in person” signature of the former President that I obtained in Truman’s front garden in Independence, Missouri. See illustration below. 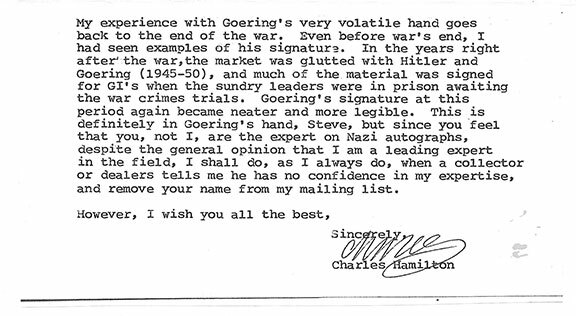 The very worst fight with Hamilton was when I ordered a signed photograph of Herman Goering from one of his catalogs back in 1994. This was the first time in almost 30 years that I had to return something to Charles Hamilton. Knowing Hamilton and his ego, I knew this probably wouldn’t go well. See illustration below. Hamilton’s response was so shocking that I will only illustrate the closing portion of his letter. It should be clear from what you just read that you will have an opinion of his personality. The response to an item being returned to a dealer can be handled by them quite differently. 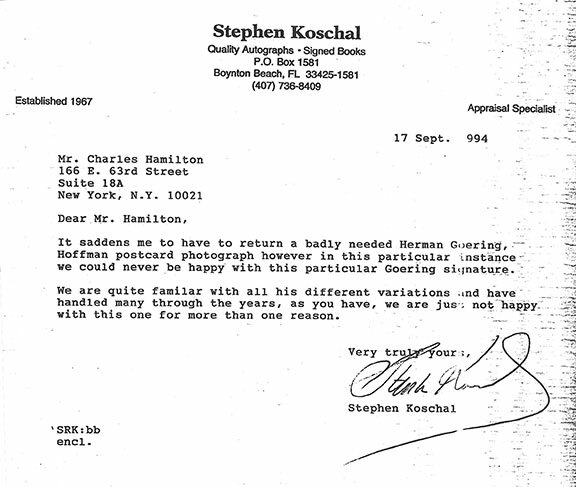 You read about the classy letter written in red ink by Paul Richards and you see the difference in the response from Charles Hamilton. I wonder now if back then I knew the Goering signature illustrated in his book was a printed signature would I have mentioned it throwing more fuel on the fire. Hamilton’s tirade didn’t last too long and just months later he wrote me and asked me to help him with some Nazi forgeries coming out of New Jersey and about forgeries of his certificates of authenticity. What’s wrong with this group? Could it be they are all so-called autograph experts who happen to be on the PSADNA team. PSA claims to have on hand the world’s leading autograph experts who they say can use state of the art technology and they have a four level authentication system. Founded in 1998 with 19 years experience and they issue unbiased opinions. The so-called experts at PSA made autograph history on hundreds maybe thousands of blunders in authenticating on places like the TV show Pawn Stars and mis-authentications on eBay, etc. Stories all over the Internet including www.haulsofshame expose the atrocities made by PSA. 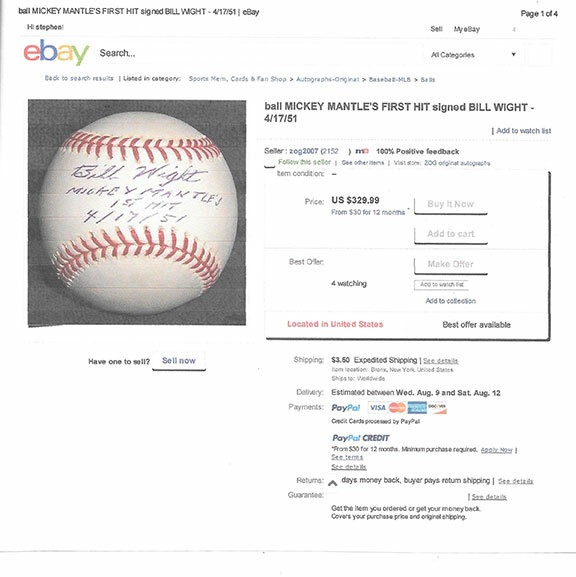 One major outstanding blunder made by the so-called experts at PSA was illustrating a forged Babe Ruth signed baseball on their homepage and on their financial report as being genuine. Still years later four boys who claim they are experts in the field of sports cannot authenticate a signature of Babe Ruth. What’s frightening is something signed by Babe Ruth is one of the most common items submitted to any authenticator. 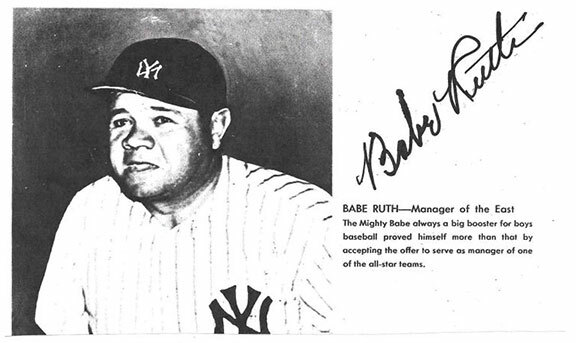 Yesterday on March 7, a collector from the state of Washington found a signed Babe Ruth item on eBay. The Ruth signature is a “10”. Nice and dark, black ink signature with no faults. The collector is a newcomer to eBay with only 9 feedbacks and with little history in the business thought PSA Quick opinion was the way to go. With the four so called experts on sports autographs listed above in the title, PSA came back with “unable to render an opinion”. The first thought was for the thousands of Babe Ruth signatures they have made opinions on in the past, shouldn’t all those people get their money back for the boys at PSA just admitted they can’t even render an opinion on a graded “10” Babe Ruth signature. The item is listed on eBay and comes with something else that is a gift but not mentioned in the items description. The reason this item has such provenance and not mentioned is the fact of the BS at PSA stating they issue unbiased opinions. It is believed that if this Babe Ruth item ever made it’s way to PSA based on the seller, it would not pass inspection. This item was purchased from the family of Lester Eggers. Lester Eggers obtained the Babe Ruth signature “in person”. What accompanies the Ruth signed portrait is a 8”x10” photo of the East In All American Game lineup at the Polo Grounds that will meet Ty Cobb’s westerners. Standing in the rear, left to right, the third player is Lester Eggers. Babe Ruth is the third player to his right. A post note on the photo is by a family member who sold these items: “This is my stepfather Lester Eggers”. This story is posted simply to help educate the 4 boys who claim to authenticate sports autographs at PSADNA. In addition, to help educate the collectors in the hobby about the so called expertise at PSA. There are a few modern presidents of the United States that some sellers of autographs and most of those who claim they can authenticate autographs have much difficulty determining whether LBJ’s signature is signed by the Autopen, a secretary, or genuine. The three that seem to be most often mis-authenticated are Dwight D. Eisenhower, John F. Kennedy and Lyndon B. Johnson. It seems like almost every week someone contacts me regarding the authenticity of one of theses three presidents. 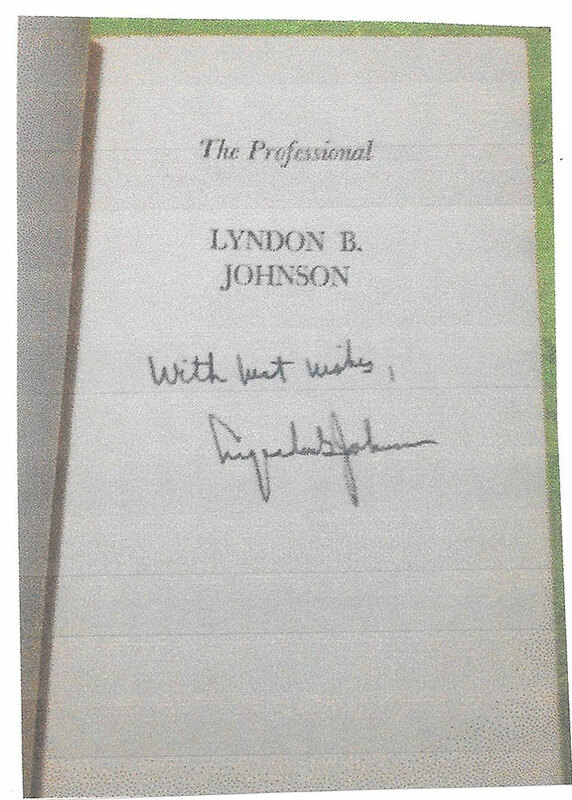 While I take on this project, a well know collector asked me to look at what he thought might be a questionable signature of Lyndon B. Johnson in a high profile California autograph auction house catalog. 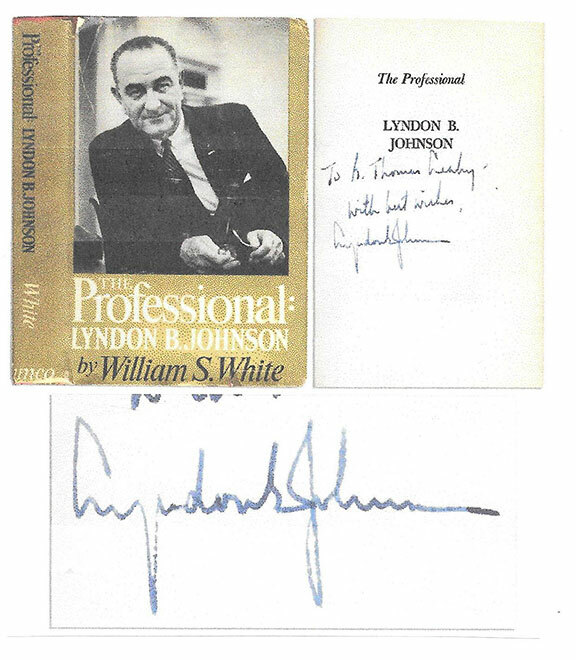 Being offered for sale was the popular book “The Professional Lyndon B. Johnson” by William S. White. See illustration below. The Professional LBJ by William S. White. This book was published in 1964 and I would bet that I have seen well over 150 copies of this book inscribed and signed. 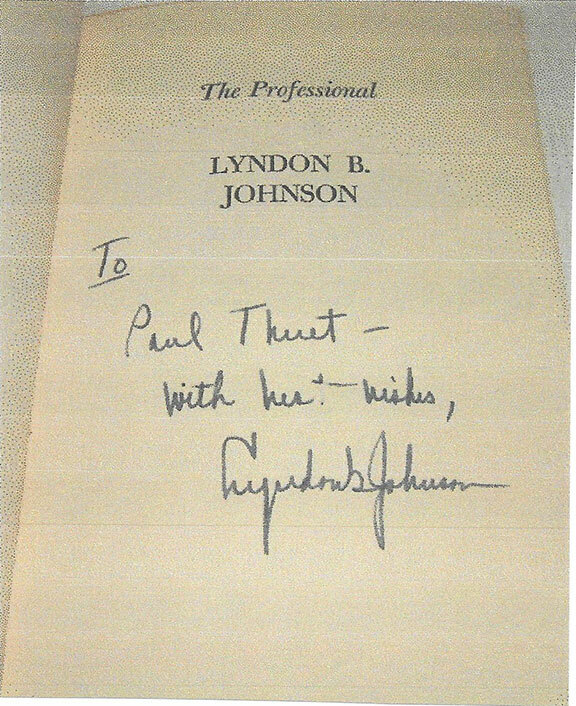 Problem is of that 150 copies, less that a half dozen contained a genuine inscription or signature of Lyndon B. Johnson. The illustration above was signed for Johnson by one of his secretaries. It sold for $375.00. For the purpose of this study, illustrated below are five more of the same books inscribed and signed by Johnson’s secretary. 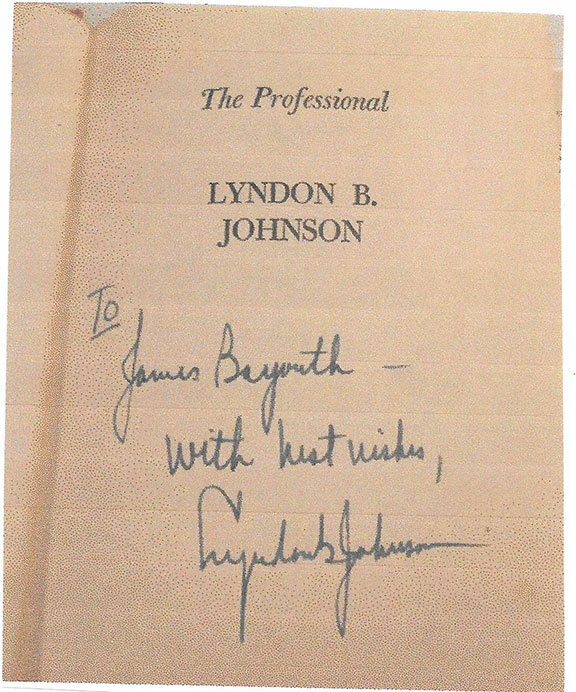 There is more than one way to judge whether the inscription is written and signed “Lyndon B. Johnson” by his secretary. The first is to look at the word “To.” In many cases but not all does President Johnson write the word “To” much differently than his secretary. 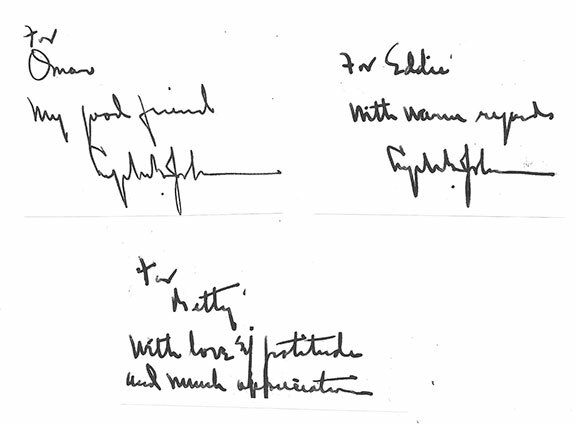 On occasion President Johnson would inscribe books starting with the word “For.” See three genuine inscriptions below. 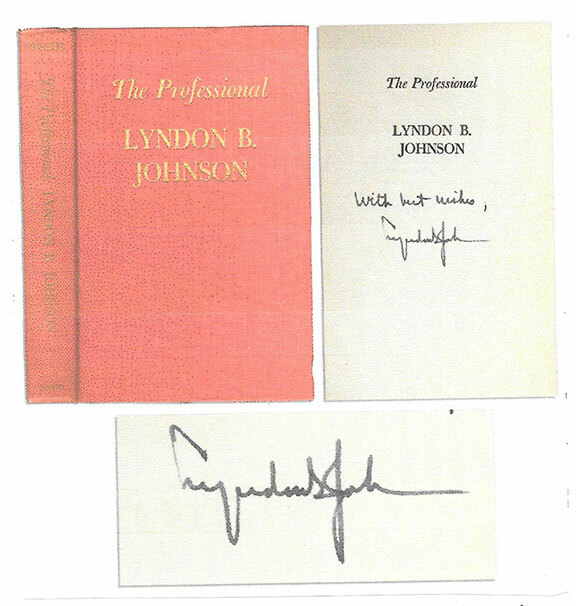 In my opinion, dealing with hundreds of Lyndon B. Johnson signatures over the years, my little secret and a good way to determine whether the Lyndon B. Johnson signature you have is genuine or not is to examine the "o" in Johnson. As Johnson’s signature became quite collectible, I have not found a single case where Johnson signed his name shaping the “o” in Johnson as a circular letter. Go back to the six illustrations above and see how the secretary wrote the letter "o". In every genuine example of Johnson’s signature I have examined, the "o" in his last name is simply a line up and then a short line down. Now for the myth that has been floating around since the 1940’s. That is if Johnson did not dot the “B’ in his signature then you can be sure he did not sign that signature. In most cases under the “B” in his signature he did place a dot. Most times before the “J’ in Johnson, sometimes in the middle loop of the “J” and sometimes even after the “J” and under the “o” in Johnson. One last comment and still somewhat controversial started by the late Charles Hamilton is that all those “LBJ” bookplates found in his book "The Vantage Point" are signed by a secretary. NOT TRUE. Every single one of them has been personally signed by Lyndon B. Johnson. 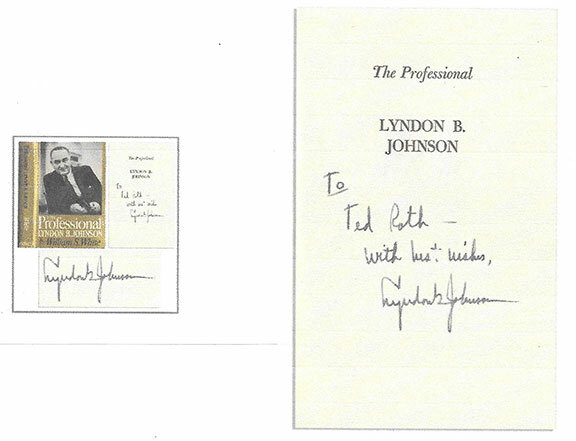 I hope this short study helps simplify those who are in the market for a genuine item signed by Lyndon B. Johnson. Letters written by Richard Nixon to Members of Congress that refer to him not resigning the presidency are beginning to hit the market. The letters are being supposedly sold for a wide range of prices. With all the shill bidding going on in a few auction houses, it’s near impossible to determine if the posted selling price is accurate or even if the item sold. One such letter, apparently but we’ll never know for sure, sold for $4,000.in a 2015 auction. The identical letter is being sold by someone who sells autographs and the asking price is $14,000. A similar letter written to a different Congressman sold at a New England auction house for what they claim was $2,500. Not long ago, another one of these letters sold in 2010 at Bonham’s Auction for a much more realistic price of $800. Many believe that the “RN” signatures on these letters may be signed by the Autopen. 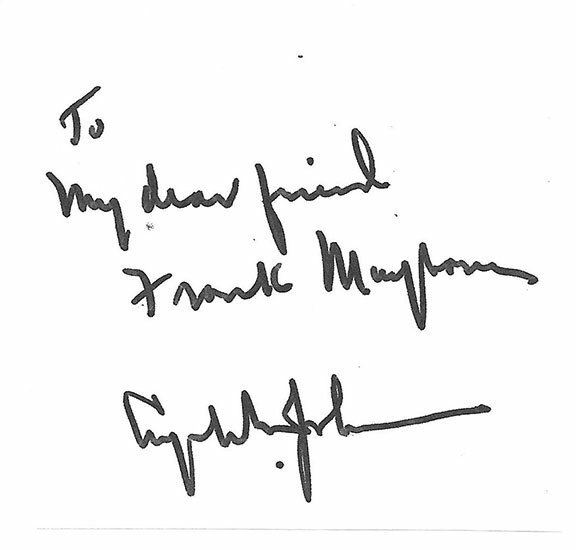 Results of our research, as of today, reveals President Nixon took the time to personally sign each and every letter. However that’s the good news. The bad news is the letter is nothing more than a form letter. The original letter to Richard Nixon was circulated by Congressman Paul Findley (R-Illinois) on January 24, 1974. 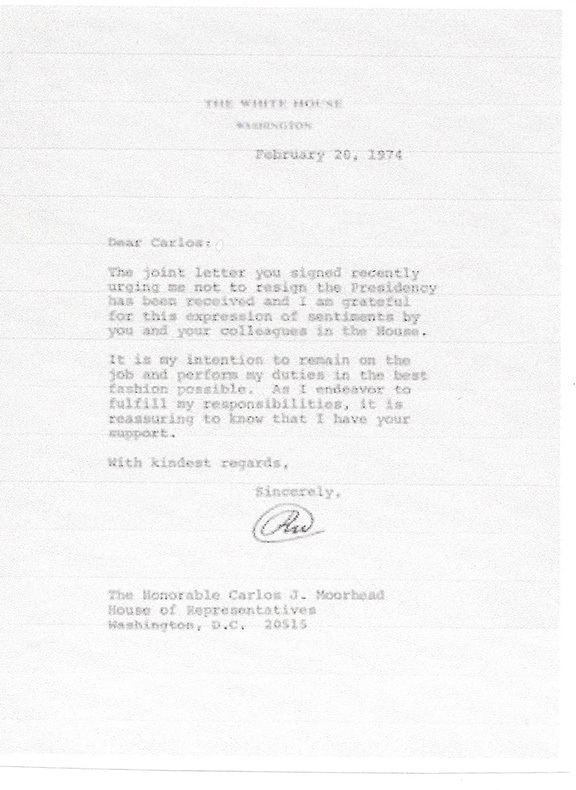 The jointly signed letter received by President Nixon was signed by 101 Member of Congress. The majority of Congressman signed copies of the letter but a handful of Congressman signed individual letters that were sent along with the jointly signed letter. Congressman Findley issued a press release on February 8, 1974 and mailed the various signed letters to President Nixon. A copy of one of Nixon’s responses is illustrated below. The above letter sold at Bonhams auction for a realistic $800. My sincere thanks to Evan Holzwasser, collector and Carla Braswell, Archivist, Richard Nixon Presidential Library & Museum for their help with this educational article. 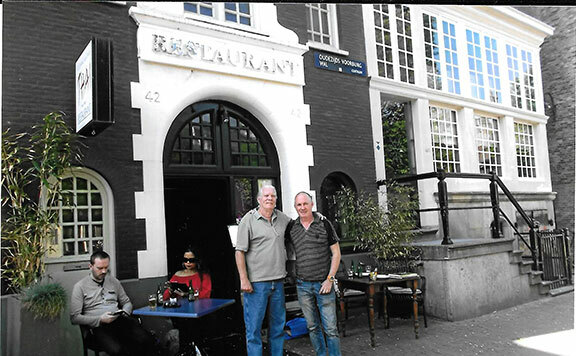 During May, 2016, Steve Koschal and Pat Claren traveled to Europe promoting the hobby of autographs. We met a collector in Cork, Ireland, talked autographs and visited Blarney castle to kiss the stone. We met a very interesting collector in Blankenberge, Belgium who collected autographs of noted artists. Our meeting lasted one and a half hours as we walked along the narrow waterways that run through the city. The meeting was very informative and this collectors passion for the hobby was outstanding. The last meeting we had was within walking distance of the famous Anne Frank House in Amsterdam. 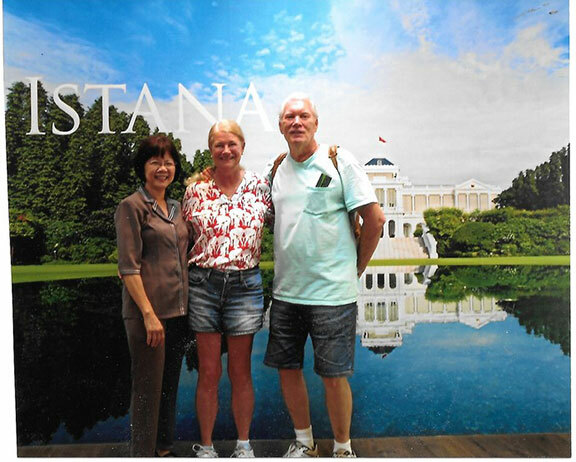 We met with Jan Derksen owner of the King of Siam Restaurant. Jan's collection is remarkable and he published some of his collection in a book. We had a fabulous conversation over a beer in a location second to none. In an effort to continue spreading the good word about the autograph hobby we will be traveling to Abu Dhabi and will be there for several days. We would like to meet any autograph collectors on the following dates, November 26-Nov. 28 and Dec.10 to the 12th. 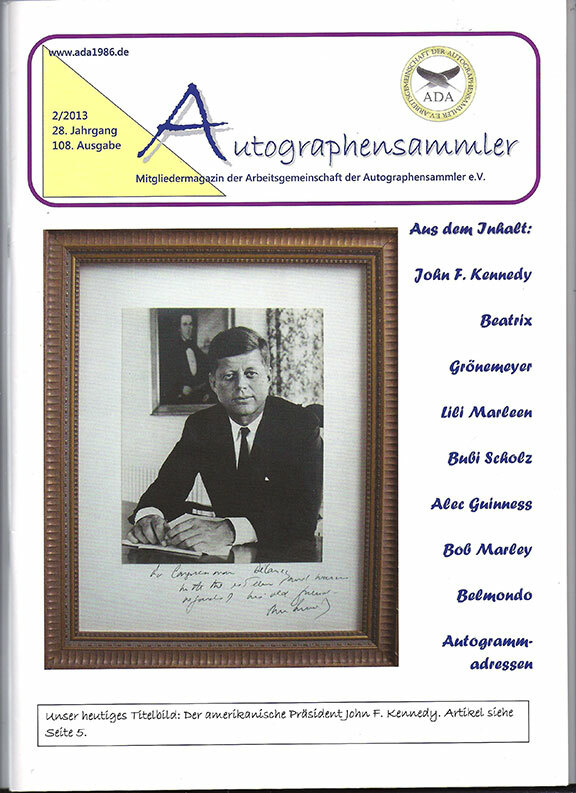 The first issue of Autographensammler for the year 2016 is published. It is the club journal for the International Autograph Club based in Germany. The journal is published 4 times a year. This issue is 80 pages in length and has articles covering all subjects of collecting. In this issue are three articles written by Stephen Koschal. The first is about Bill Clinton and how forgers are deceiving collectors when it comes to signed copies of his books. 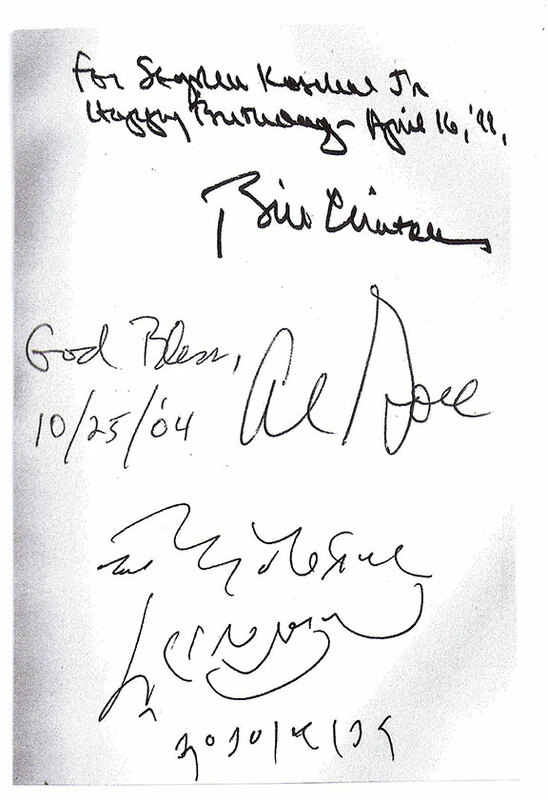 A second article is on the autographs of Reverend Billy Graham. The third article is about Donald Trump which is reproduced below. You may have noticed quite a few United States autograph dealers and auction houses that are displaying the club logo. Web site for the club is www.ada1986.de. They are presently working on upgrading the web site in English. 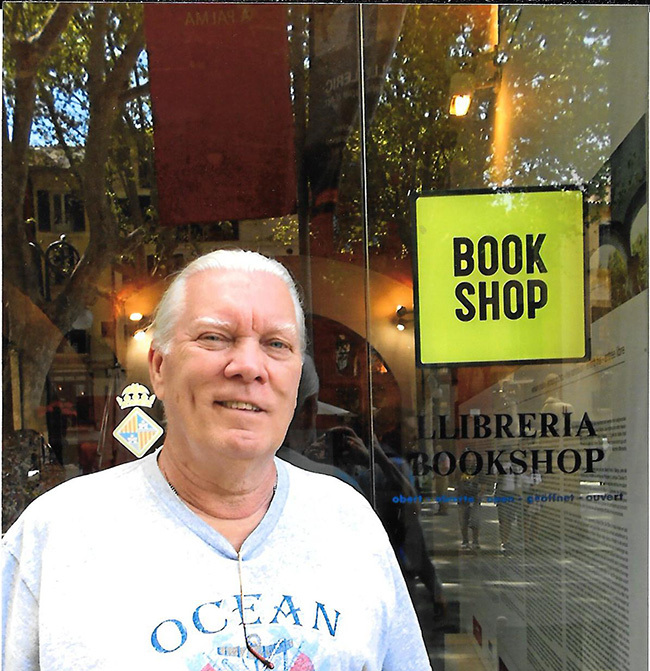 During the month of October in 2015, Steve Koschal and Patricia Claren traveled the Mediterranean meeting with autograph collectors and visiting book stores that handled old books some autographed. Overall, it seems that book stores that handle signed books usually don’t have a section for this subject. The plus side for this is that sleepers may be on the shelves overlooked by collectors. The down side is that it can take hours to scan the shelves looking for a hidden treasure. Our trip started in Barcleona, Spain where we met two collectors that have been on our mailing list for several years. With the rise of the Internet it’s always wonderful to meet prior customers in person and build on the relationship. 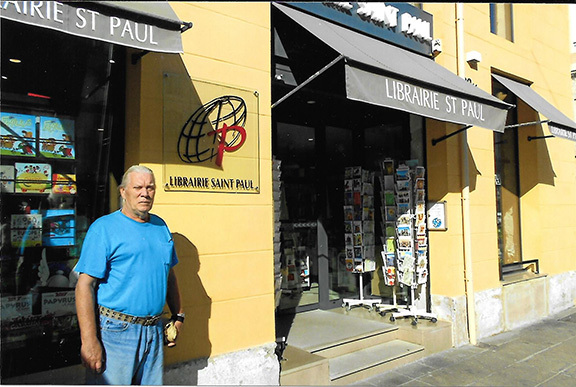 Next stop was two book stores in Marseille, France. 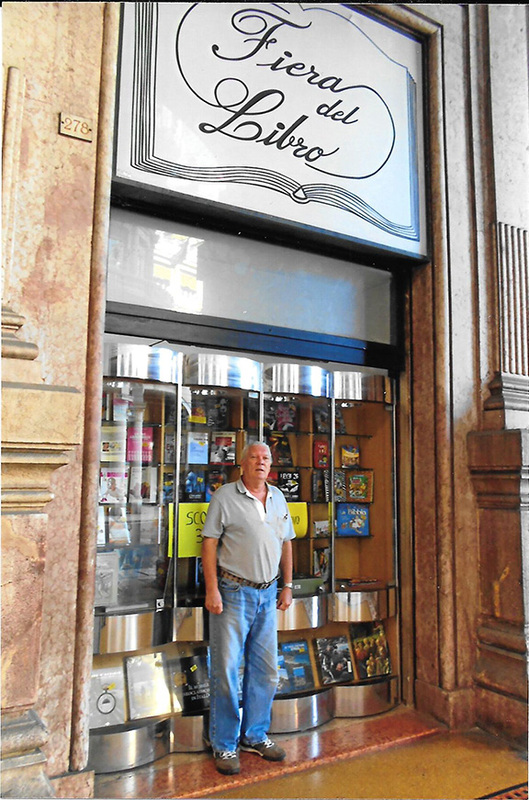 We had a meeting with one collector in Genoa, Italy. We have good memories of dealing with Italian collectors as this is where, years ago, we purchased hundreds of those military appointments signed by King Emanuele III and Benito Mussolini. In every city we took some time to visit historical attractions. See below. From Genoa we traveled south to the fabulous city of Naples, Italy. 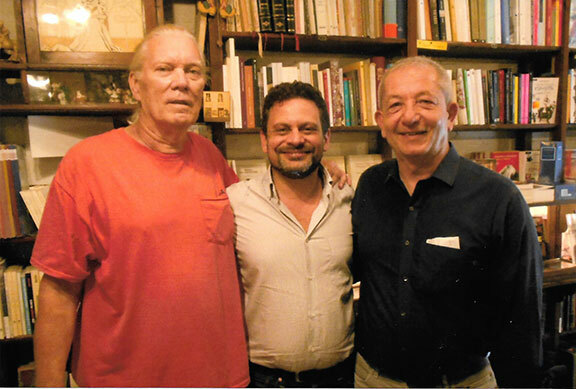 Here we met with a long time collector of historical autographs. We visited three bookstores and discussed collecting autographs. After Naples we went south to Messina, Sicily for one day. Sicily is the home of the cannula or cannolo. 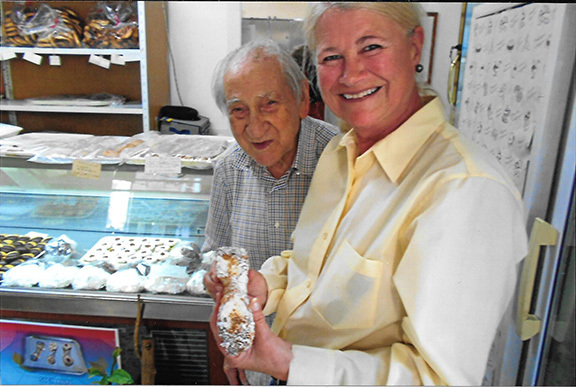 Many know this pastry by its Italian name cannoli. It would be embarrassing to tell you how many we ate in one day. The little shops make them from scratch in front of you. Chocolate chips and cinnamon are added to leave an unforgettable taste. Look at the size of the canola below. We visited one bookstore discussing autograph collecting before traveling to one of our favorite countries, Malta. Malta was the most bombed country during WWII. The large city of Valetta is a walled city and one needs to take an elevator up to the city. Meeting with autograph collectors around the world is always a success. There are very few successful organizations in this hobby. Only two hold events for collectors to meet others and share information and make friendships. The main event, worldwide is an International Autograph Club, ada1986.de, based in Germany. Their next meeting will be in Remscheid, Germany in 2016. Remscheid founded in the 12th century is conveniently located near Dusseldorf. The 2017 meeting will be held in Kesswil, Switzerland. These club meeting are very informative, extremely friendly and highly recommended. The earliest Presidents to have signed the “Bible” are Herbert Hoover and Harry Truman. The “Holy Bible” was chosen for the Presidents and Vice-Presidents to sign because Bible’s are chosen for these persons to take their Oaths of Office. 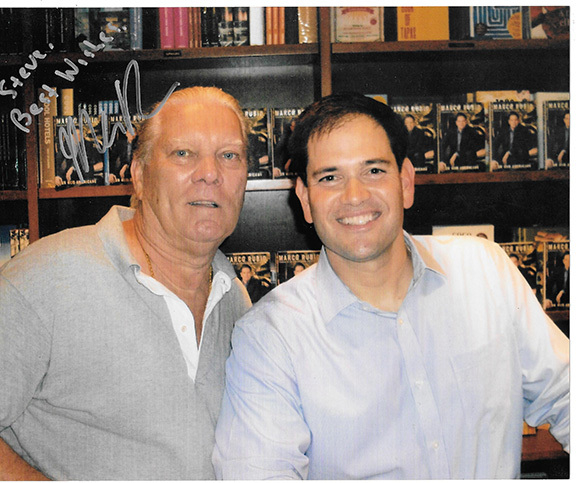 In advance of the 2016 Presidential Elections and in an exclusive discussion with Steve Koschal in Coral Gables, Florida, Senator Marco Rubio (R. FL.) is the first person running for the office of President of the United States for the G.O.P. that has agreed to sign the “Holy Bible” should he be elected President of the United States. From the Democratic side of the election, the “Holy Bible” has already been signed by Hillary Clinton. Both Marco Rubio and Donald Trump have publicly stated that the “Holy Bible” is their favorite book. Hillary Clinton - Deception In The Autograph Hobby! Many of you most likely are sick and tired about hearing the news of Hillary Clinton’s emails, Benghazi and so much more. Just maybe, when it affects the autograph hobby, it may spark your attention. 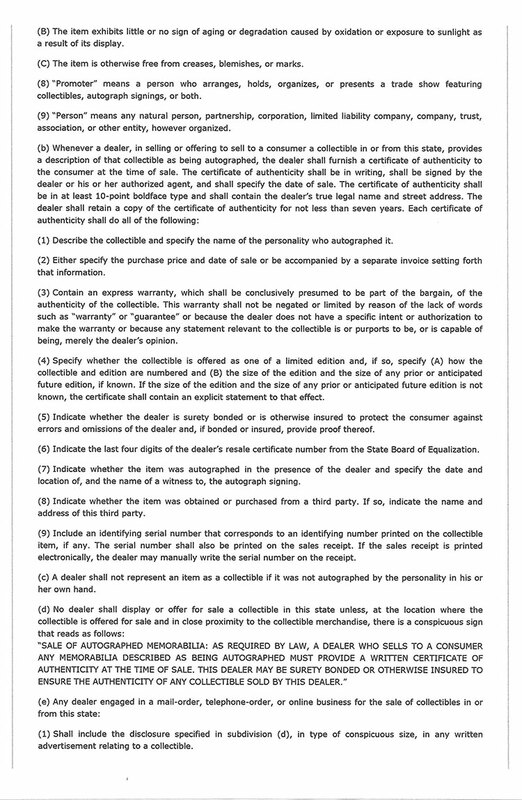 It appears that although her use of the Autopen or preprinted signatures is fairly common many people including some autograph dealers are not familiar with these signatures. Even trolling through eBay today, one can find many items up for auction that bare an Autopen or preprinted signature of Hillary Clinton and are being sold as genuine. 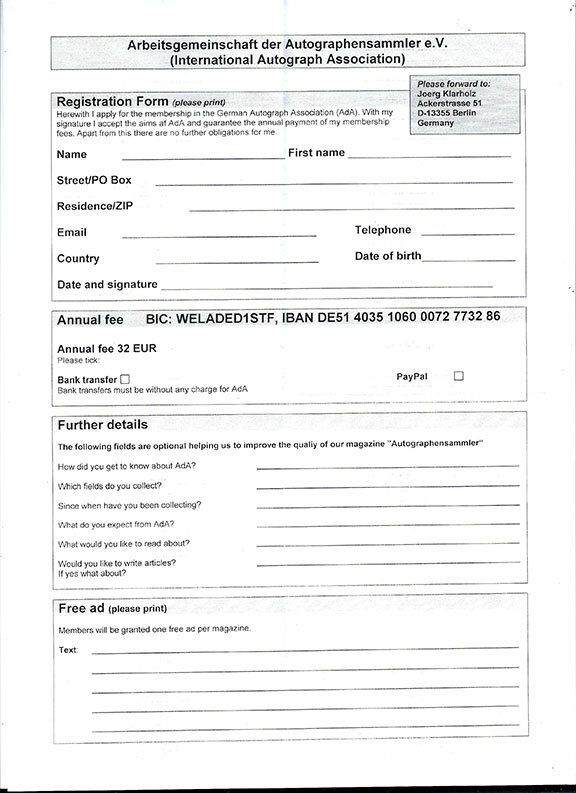 Some even come with letters of authentication issued by the ABC type authenticating companies. In many cases the official letters that come with a spurious signature are somewhat convincing. 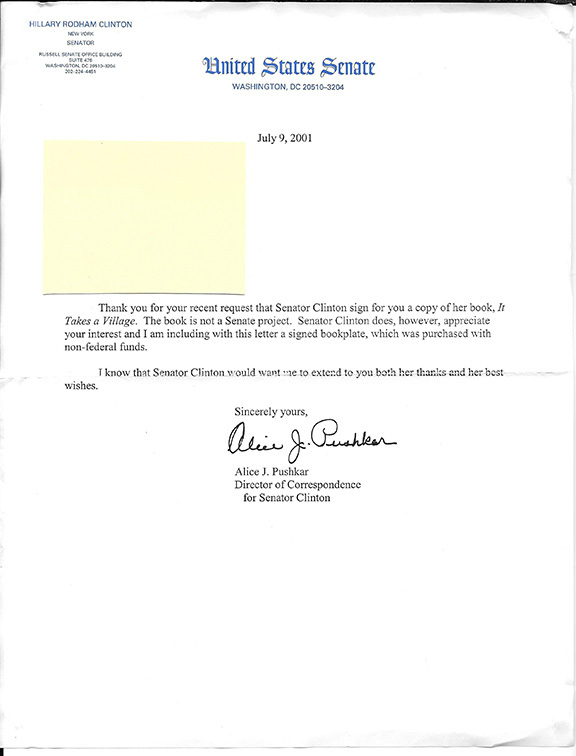 Note the line: “…I am including with this letter a signed bookplate, which was purchased with non-federal funds…” The letter on Hillary Rodham Clinton Senate stationery, dated July 9, 2001, is signed by her Director of Correspondence. This leads many to believe they were sent a genuine signature. operly mail an autograph or a signed book. Illustrated below is the actual bookplate that was affixed to the collector’s book It Takes A Village. The book was published in 1996 and six years later they were using this bookplate. To know for sure a signature was signed by the Autopen machine or is a preprint one must have another copy of the same signature. 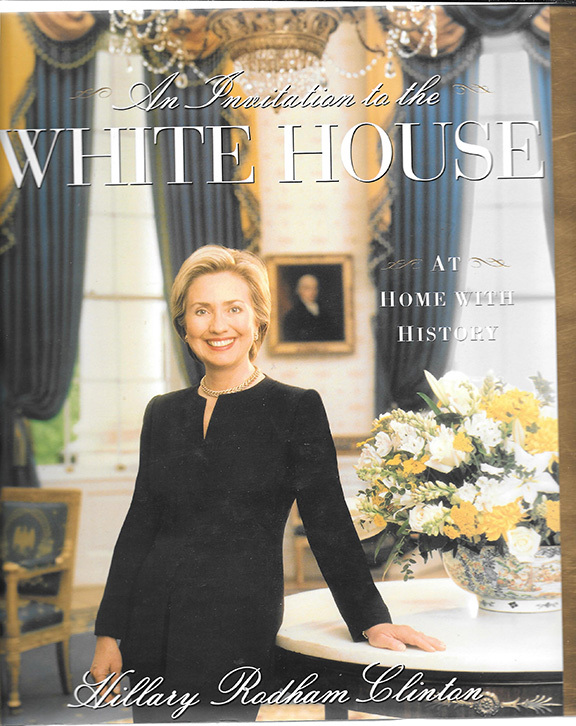 Published in 2000 is a wonderful coffee table book, An Invitation to the White House, At Home With History by Hillary Rodham Clinton. 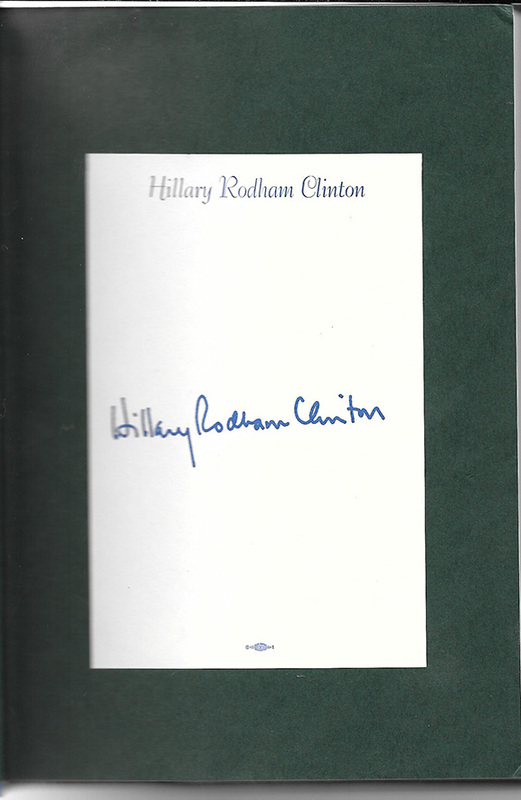 Affixed to the front free endpaper is a Hillary Rodham Clinton bookplate containing the same identical signature. 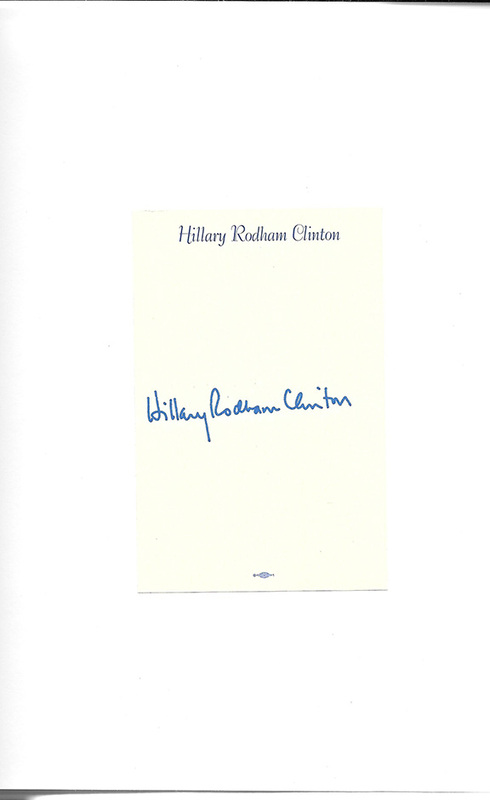 These bookplates which contain a facsimile signature of Hillary Rodham Clinton have been fooling many for two decades. The letter sent by Clinton’s secretary sending a “signed bookplate” is deceptive. Collectors and autograph dealers be aware! I have learned the hard way, decades ago, about how to properly mail an autograph or a signed book. This applies especially to dealers in autographs or those collectors who are shipping an item to a dealer with the hopes of a sale. If you are mailing an autograph or signed book don’t put a spotlight on your package! You should not have a label that states “John Doe Autographs” or “John Doe Autographs & Rare Books”. This tells everyone that handles the envelope or package from your post office to destination that something could be very valuable in that package. Why bring attention to that envelope or package? I’ve written about this many years ago in one of our trade magazines and it seems not everyone has either read the article or has forgotten what they read. Unfortunately, disappearing envelopes/packages still happen. Don’t fall prey to someone handling that package who may feel the need to hit the lottery with a package you hoped would reach destination. I finally got used to speaking and being comfortable in front of a few dozen people at autograph events and giving a course on autographs at a school or college. However, I have learned that being on stage and helping an amazing talented person in front of several hundred in the audience is a unique experience. Barry John is an international celebrity and has been a juggler, comedian and magician for almost two decades. His career began at the age of 12 when he juggled 3 baseballs. As a teen he did hundreds of shows. Since then, he has traveled to over 90 countries including Egypt, Australia, Kenya, Russia, Japan and Argentina. His world class amazing skills appeals to audiences of all ages. Barry has been an opening act for many major celebrities and he has rubbed elbows with Evander Holyfield, Carol Channing, Jack Parr, Marvin Hamlish and others. 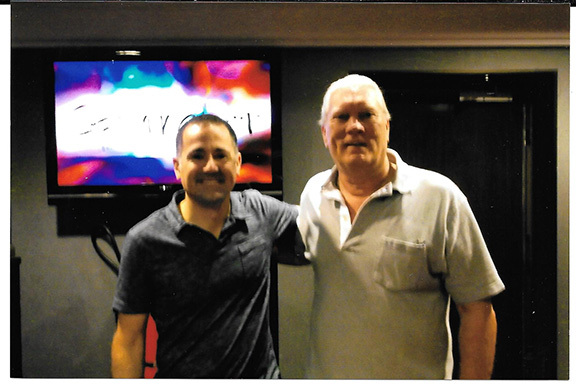 Illustrated below is Steve Koschal with Barry John after our performance. What I have learned after performing on stage in front of hundreds of people and having all of them applause is a feeling I wish everyone could experience just once in their lifetime. 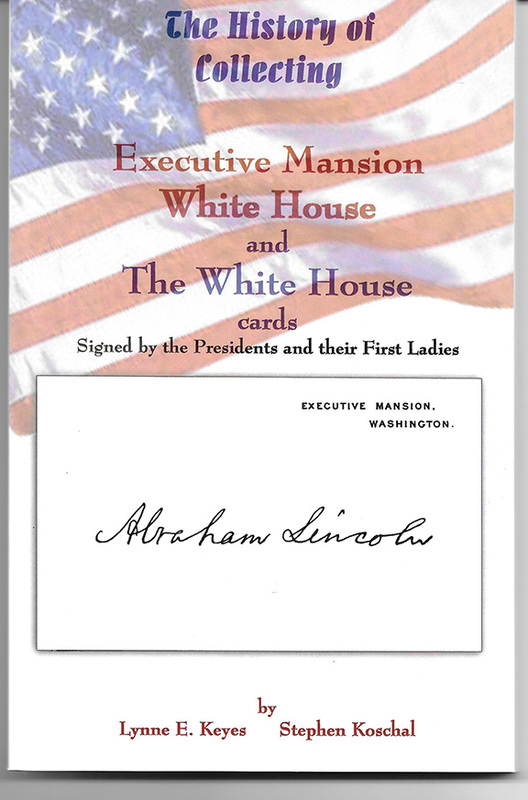 There’s little doubt about the popularity of collecting “Executive Mansion” cards, “White House” cards and “The White House” cards signed by the presidents of the United States. They are becoming much more difficult to find than they were 20 years ago. Even with the heavy demand for these cards, little was known about the history and scarcity of these cards. Matter of fact, as late as the early 1980’s every major dealer specializing in items signed by the presidents would describe in their catalogs that Rutherford B. Hayes introduced these cards and was the first to sign them. Many collectors and dealers realize the scarcity of “Executive Mansion” cards signed by James A. Garfield but don’t realize that these same cards signed by Benjamin Harrison and Theodore Roosevelt are much scarcer. 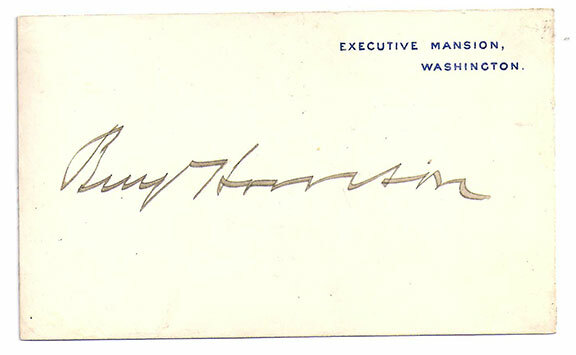 To play safe, I always suggest that to ensure a collector has a good solid collection of these cards it may be best to stop with a “The White House” card signed by Harry S. Truman. The only book published on these cards is “The History of Collecting Executive Mansion, White House and The White House cards Signed by the Presidents and Their First Ladies” by Lynne E. Keyes and Stephen Koschal is very popular and is now in its third printing. One hundred forty pages, heavily illustrated, covers these cards of our presidents from Ulysses S. Grant through George W. Bush. Although there are some genuine signed “The White House” cards signed by Dwight D. Eisenhower, one must be very cautious when attempting to add one of these cards to your collection. 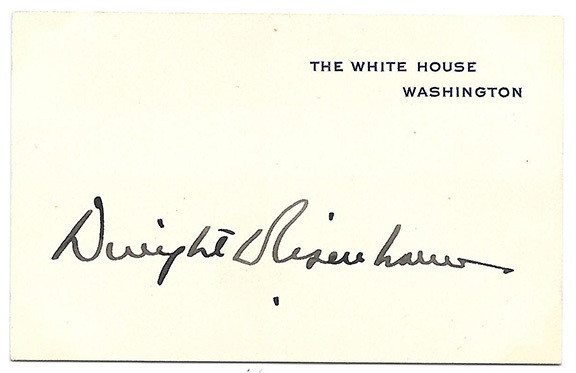 A word of caution, a newly discovered “The White House” card by Dwight D. Eisenhower was signed by the Autopen machine. 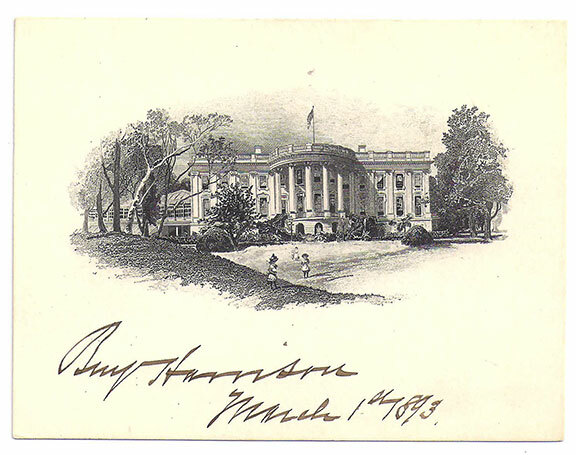 It is strongly suggested if you have a “The White House” cards with an Eisenhower signature that matches the one illustrated here that it be returned to the seller. 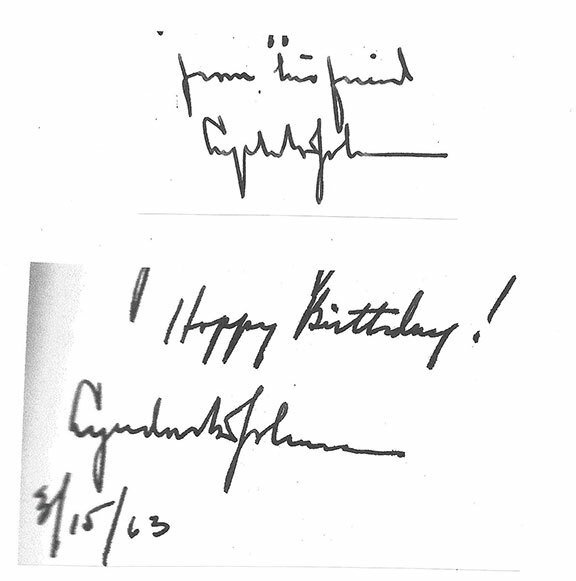 In addition, Eisenhower did have secretaries that also signed these cards and cards with a facsimile three word sentiment along with a signature are plentiful. My recent efforts to promote the hobby of autographs on an International level was not only exciting but very successful. Recently I visited Portugal (met a very interesting collector from Canada), English Gibraltar, Majorca and several cities in Spain. Spain was very important to me as within the last year I’ve had many good sales go to this country and found the collectors to be extremely friendly. After spending two days in Barcelona we rented a car and spent a week in the south of France. 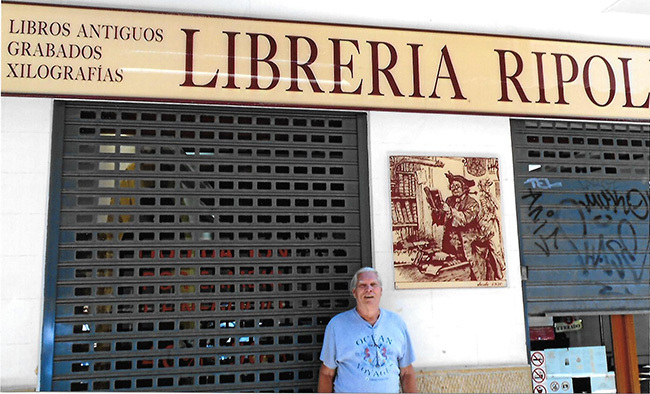 We have one good collector/friend in Malaga who we try to see every few years. 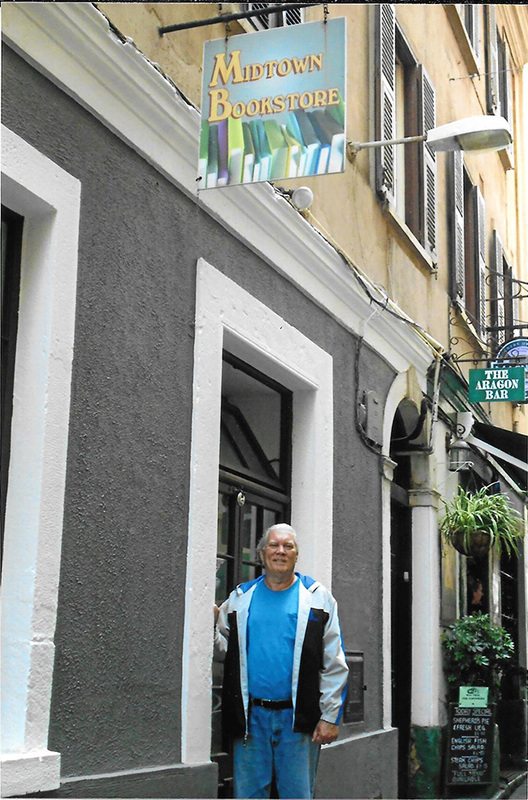 One of our favorite places to visit in Malaga is the ancient fine wine bar “Casa de Guardia” where Picasso drank. 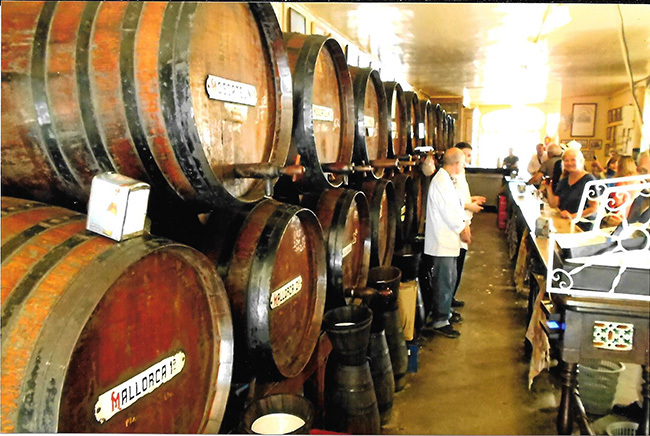 The wines are poured directly from the ancient wood barrels. It is within walking distance of his home. I feel close to Picasso as I wrote him many times during the early 70’s and he always signed all the portraits I would send him. We try to visit as many used/rare book stores as possible to talk about autographs and the hobby. There is no question that one of the fabulous places to go on vacation is to visit the Rock of Gibraltar. Most believe it is a rock in the water at the entrance to the Mediterranean. Actually it is not a rock island. You can walk to it from Spain however you must run across an active runway to get to town. This huge rock is hollow with many miles of roads inside as well as a fortress. It has a system of underground tunnels and the rock contains about 100 caves. St. Michael’s cave has interested tourists since the days of the Romans. During WWII it was prepared as an emergency hospital however today it is now a unique auditorium used for concerts and ballet. It is also used as a theatre with a capacity of 400. A cable car ride or taxi to the top to visit the wild monkeys is not to be forgotten as well as the cemetery, the castle and the tropical gardens. 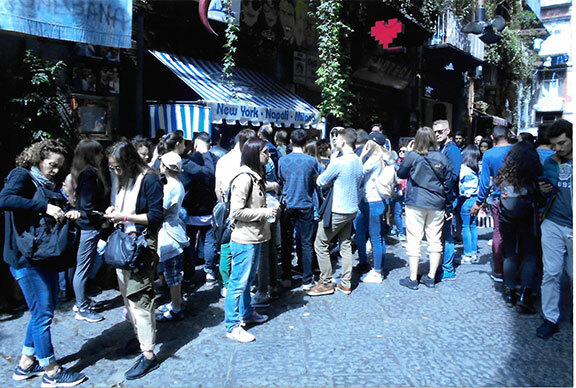 Barcelona is also a fun place to visit and living there are a few active collectors. Our timing could not be better as we were there while the world famous Basilica de la Sagrada Familia was holding service for the victims of the plane crash that took off from Barcelona destined for Dusseldorf. 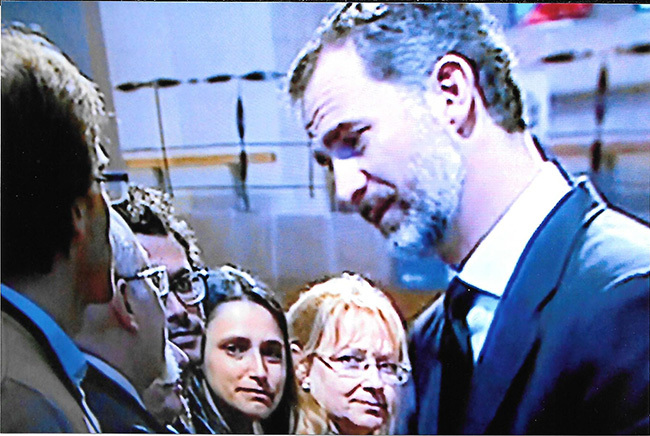 We saw King Felipe VI and Queen Letizia of Spain as well as the Prime Minister of Spain, Mariano Rajoy Brey. Inside the Cathedral they shook hands with every family member and offered their condolences. 1) What is a good organization to join? Or which should I avoid? 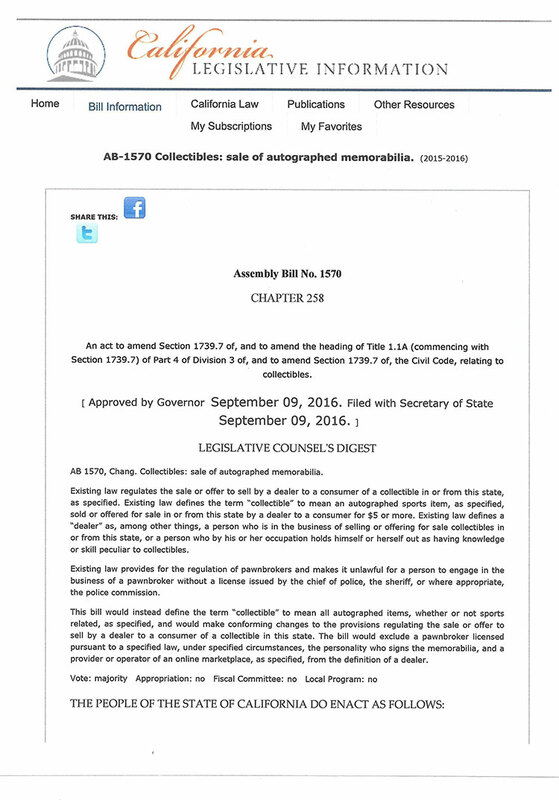 2) What’s up with those COA’s that are being printed by most everyone selling autographs. The first question takes under a minute to answer. The second question, I could give an educational course taking an hour or two. Overall the trip was highly successful, made some interesting purchases, met some wonderful collectors and hope to see some of them again at the next German Autograph Club meeting in 2016. It saddens me to say that El Fraley has passed away peacefully on July 31, 2014 at his home in Eden Prairie, Minnesota. El has been hospitalized a few times during the last year yet he always had a positive attitude. 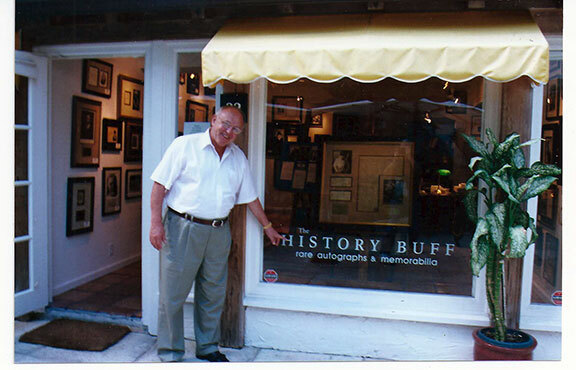 He has called me many times from his hospital bed and I knew things were not going well when he recently started to talk about closing down his long time business “The History Buff.” El opened this first class autograph gallery back in 1966 in West Palm Beach, Florida. He maintained the highest of standards and the educational information posted on his companies web site was second to none. I have no doubt that anyone who knew El Fraley will miss him dearly. The photo attached I took of El shortly after he opened his autograph gallery. I consider him a dear friend. Because of the many requests from our readers to keep them abreast of the progress in obtaining additional signatures in our Holy Bible, the following is an update. 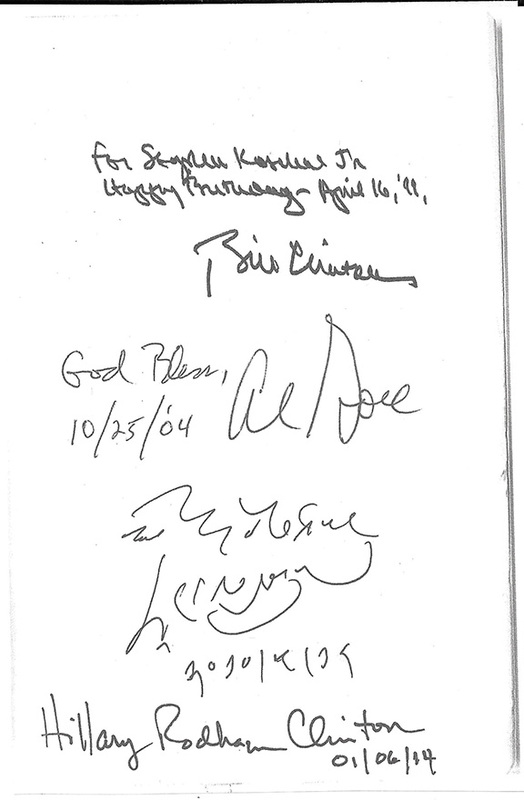 The first signatures to be placed in this historical Bible were the signatures of Herbert Hoover and Harry S. Truman. Since then many signatures of U.S. Presidents, Vice Presidents and First Ladies have been added. The most recent addition to the Bible is the signature of former First Lady Hillary Clinton. Recently, I was invited to attend a private function sponsored by General Electric at the Boca Raton Resort in South Florida. I had the honor of meeting and spending a little time with Hillary Clinton. Our meeting was pre-arranged several months before and I was assured that Hillary Clinton would sign the Holy Bible. When Mrs. Clinton signs legal documents and items she feels important, the item will be signed with her best signature. That was the case with the Holy Bible. Since President Clinton personally inscribed and signed the Holy Bible to me on my birthday, while he was President, I requested that Hillary Clinton sign and date her signature above her husbands where there was ample room. 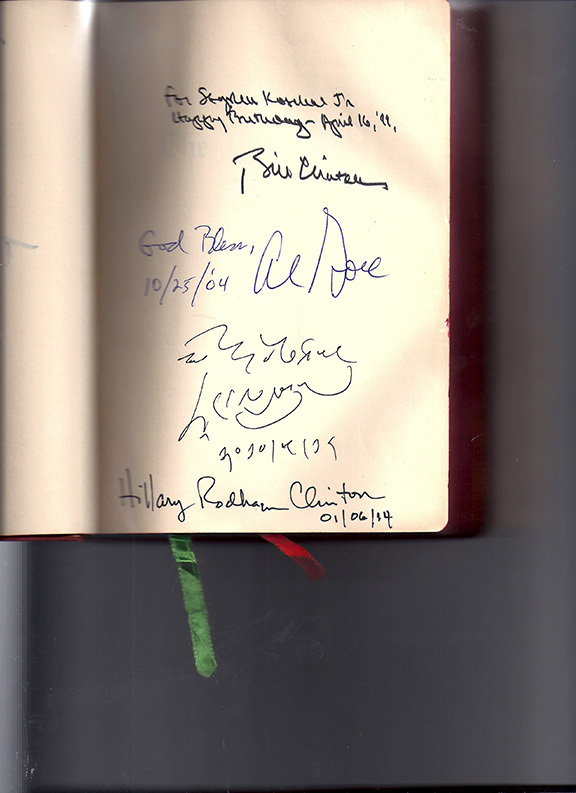 Former First Lady Clinton chose to ignore my request and went to the bottom of the page preferring to sign and date her name under the signature of the Dalai Lama. I have been in the presence of many Presidents and world leaders but never have I witnessed the security surrounding Hillary Clinton. Upon arriving at the Boca Raton Resort it was clearly noticeable the trucks of the bomb squad. 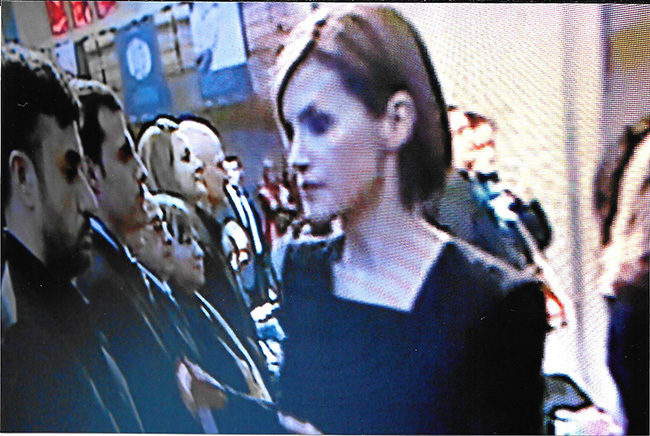 As I entered the door Secret Service agents were everywhere. I asked directions to the room where Hillary Clinton was to be and they acted as though they did not even know she was in the building. In seconds, I was escorted to a corner and it was explained that I need to meet a certain individual on the Hillary Clinton advance team. The meeting was arranged for the Holy Bible to be signed which was hours before the dinner party. After the book was signed, unbeknownst to most of the 900 persons attending the affair, a special room was put aside for previously selected people to have a private meeting with Mrs. Clinton. The room was set up as a photography studio and each of us had our photograph taken with Mrs. Clinton by a professional photographer. Security was everywhere. Upon entering the room, women were not even allowed to bring their pocket books. They were checked at the door. 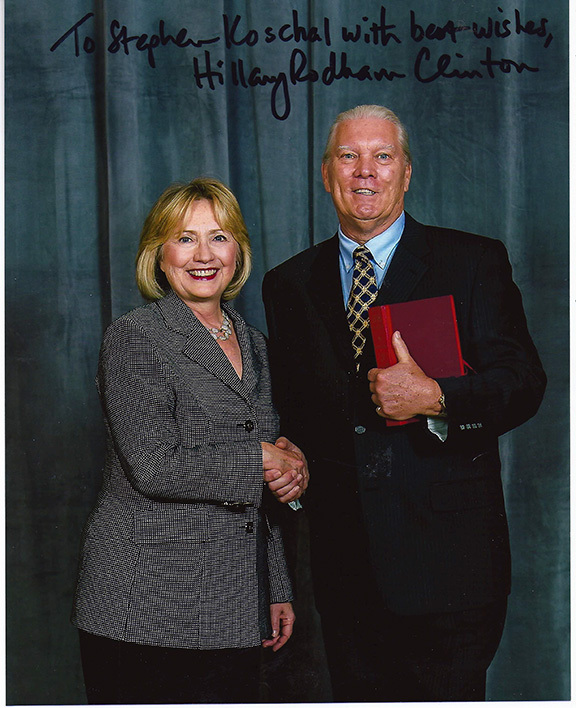 Special arrangements were made with Hillary Clinton and her advance team and the Secret Service to allow me to hold the Holy Bible while our picture was taken. During our handshake, I had a few moments to talk to her privately about the Holy Bible and about the Bible she may eventually use if she is sworn in as the next President of the United States. She never denied that she may run for the office. Obtaining the signature of Hillary Clinton will certainly be a challenge for collectors during the next few years as the Secret Service constantly surrounds her. It may be best to secure one now from a reputable dealer as the demand grows and prices are sure to increase as 2016 comes closer. The autograph hobby in the United States has deteriorated to a point it is almost unrecognizable. Unscrupulous sellers have introduced and sold millions of dollars of forgeries in the last two decades. These sellers came from other hobbies such as the coin and stamp business and the sports industry. Inept authenticators have basically frightened new blood from entering the hobby and in addition have chased the novice away as well. A rare promising new collector came to me to sell a signature of a 19th century president. He told me the autograph was slabbed and already authenticated by a high profile company. He wanted to sell this signature and upgrade that president to a signed document. When I told him he wasted $100.00 on one of the authenticating company scams because the signature was not genuine, he being very upset stated: “I’m out of this hobby”. At one time autograph organizations in America was something every collector and dealer wanted to be part of. It was excellent to be part of an organized group. It was a way to educate yourself and share your ideas with others. Just as important, autograph shows were a place that collectors could meet other collectors and dealers from around the world and build lasting relationships. AToday, there is basically only one active club left in the United States for collectors and they do little to help educate the novice. The others have been reduced to a website and their focus seems to be on just collecting dues. Memberships have dropped more than 50% on one and 90% on the other. At this time, there is only one organized autograph association that is focused on educating both the beginning and seasoned collector. It is the International Autograph Club based in Germany. The club is presently working on updating their English version of their web site. Known as the "ADA1986.de " and their web site is www.ada1986.de. Their club magazine is 72 pages and contains many articles covering all fields. Four or five writers are committed to publishing stories in English for every issue. The recent issue of the club magazine has seven educational articles written in English. Among the articles are: “Royal Family of Lesotho“, “What Do You Recommend I Collect?”, “Historical Day in Ukraine”, “Several Signatures On A Single Photo”, “Stealing Pictures From Web Sites”, “John Glenn An American Hero” and “Leaders of Hungary”. There are many things that can be done to help promote our hobby. We need to reach out to others who have autographs but are unaware of any semblance of an organized hobby. This is not just something one person can do to make change, it is something that each and every one of us must participate. For decades, I have been an advocate of promoting the hobby of autographs. I have helped create 14 different educational courses that were taught by leading experts in our field. I was the instructor for four of them. I have traveled the world speaking to collectors, dealers and at autograph organizations. I have found in every corner of the world places that sell autographs yet they have no idea there is an autograph organization they can join. Nor do they have an idea that an autograph price guide exists. For this reason many autographs being sold overseas are either under priced or overpriced. Bargains are to be found. I’ll proceed to mention only a few of the places I visited only because they had a nice selection of signed items. 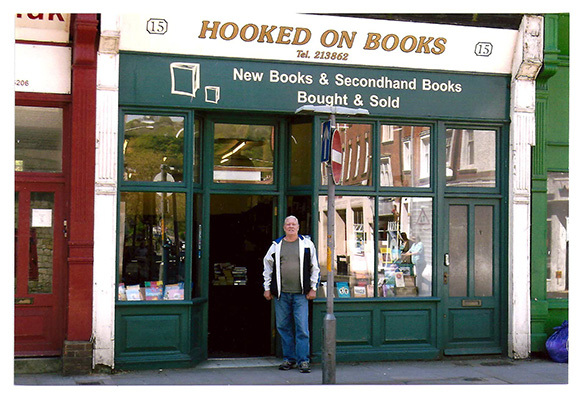 “Hooked on Books” in Dover , England had a wonderful selection of signed book. They were not set aside but filed throughout the shelves. Another interesting shop is located in Rostock, Germany. The owner Susanne Thorentz, of “Norddeutsches Antiquariat” is very helpful finding signed books on her shelves and she came up with some interesting items. This dealer had no idea there is an organized autograph collecting club she can join. 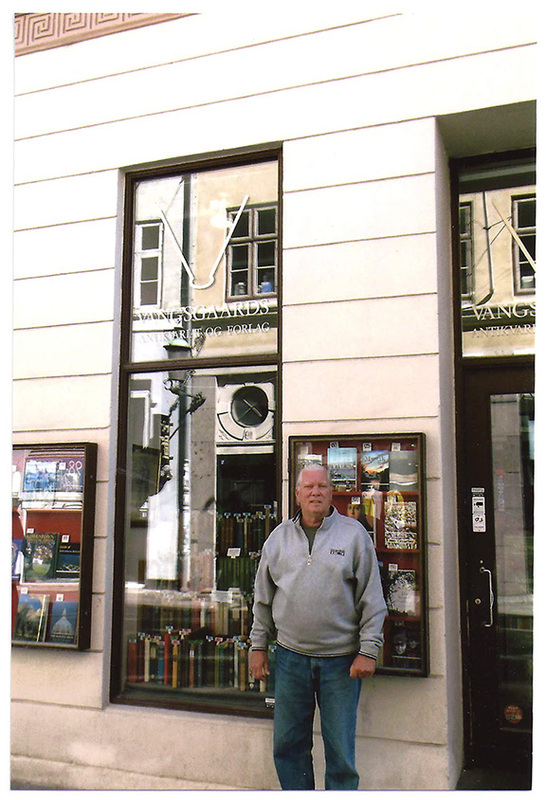 One of the largest stocks of autographs I found was at a fabulous shop in Copenhagen Denmark. A collector can spend a whole day here on different floors and in the rare book room. From the front desk you must walk through a door that takes you through winding passageways of books. Seems like the room you are heading to is quite a distance away. In the rare book room are albums of autograph in all fields. Kings, Queens, historical and literary figures of all types can be found. We specifically asked for items signed by Neils Bohr. Not a problem, they produced multiple items including items inscribed to his wife. Next on our list of wants was a book signed by Hans Christian Anderson. Instantly the shop keeper produced one of Anderson’s books inscribed and signed. Anyone traveling to Copenhagen in the future? This is a must stop. 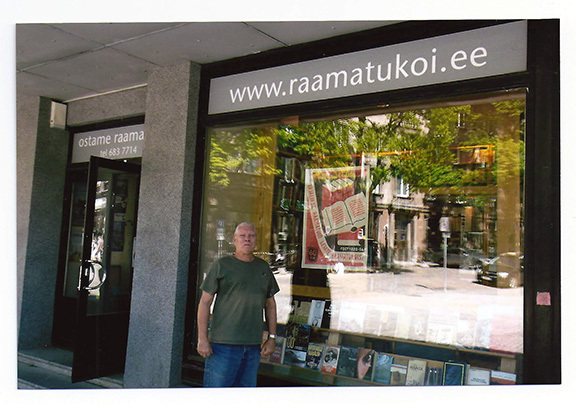 A very attractive shop is “Raamatukoi” in Tallin, Estonia. They have no special place for autographs so one must go through the shop. The main store gives you the impression it is a museum with all the show cases, however, everything is for sale. Most interesting is there other shop down the street where autographed items such as signed photo’s of celebrities and historical persons can be found while looking through some of their many bins. They have a large selection of signed art as well. Another favorite shop in Estonia was the “Shifara Art & Antique Gallery” who had a large selection of coins, stamps and autographs. They had a nice selection of autograph photos and portraits and a favorite was a signed postcard portrait of “Two Boys Fishing On A Fence” by the noted Russian painter Nikolay Bogdanov Belski (1868-1945). He was a portrait and landscape painter. He graduated from St. Petersburg Academy of Art and his paintings are exhibited in museums throughout Russia. He died in Berlin in 1945. The portrait being sold is well known of his and it is signed, selling for $170.00 US. On your next vacation, find a shop that sell autographs and promote the hobby by spreading goodwill. If more collectors/dealers became an Ambassador of Autographs, the healthier and stronger our hobby will become. 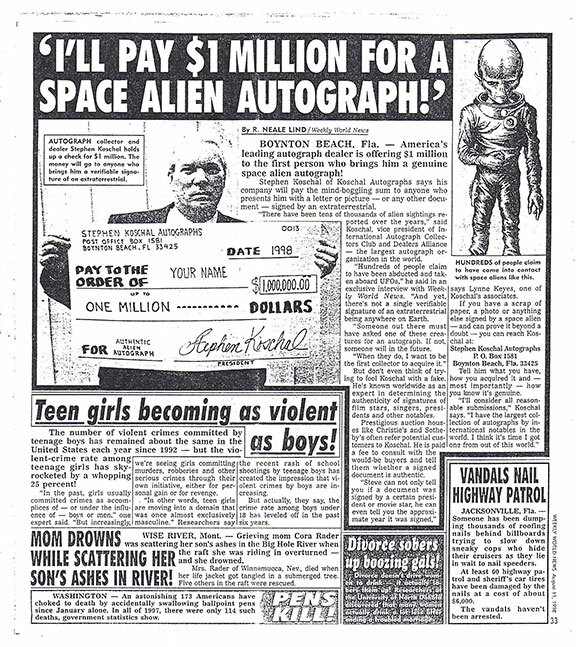 $1 Million For A Space Alien Autograph!? Sixteen years later, that silly offer is still popular. There are people from around the world that are still fascinated about this offer. Many new to the hobby want to know the details about this offer as they have only heard bits and pieces of the story, some comments not so nice from jealous competitors. 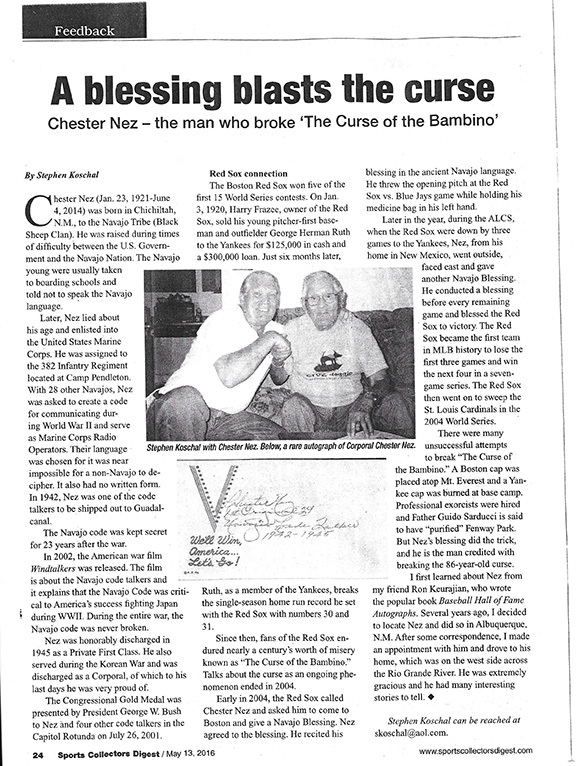 A well known newspaper writer and celebrity himself came to me and requested I write some ridiculous story about autograph collecting for The Weekly World News. The paper was a largely fictional news tabloid published in the United States from 1979 to 2007. It was sold in most every supermarket in America. During the 80’s and 90’s there were many stories published about American’s being abducted and held by aliens from other planets. There were stories that “chips” were placed in them before they were released back on earth. The idea for the story came to me. Since so many people said they had been abducted by Aliens, why not ask one for an autograph? Pure science fiction, so I thought! I thought offering 1 million dollars for the first autograph was funny and something I would never have to make good on. Word got out. Even before the August 11, 1998 publication, one very prominent American autograph dealer told me he would back up the check should this ever come true. I had no idea what would happen after that story hit the stands. Huge canvas bags of mail started arriving at my office. Many letters were from people who just loved the article. Some sent in cards they claimed were signed by an Alien but all were done in jest. Many who read the article now knew where to go to sell autograph items they had in their homes. I thought that the mail coming in was out-of-control until the story got picked up by the Russian newspapers. An unbelievable amount of mail came in from Russia. Many letters were from Russian women, unmarried with children, sending photos of themselves looking to get married to an American who they thought had a million dollars. Photo’s of all kinds arrived at my door, some very candid shots that cannot be described here. I was representing the F.B.I. in Federal Court in San Diego as an expert witness against a forger of autographs. This was part of “Operation Bullpen”. A jealous competitor from an insignificant autograph club tried to use the article in The Weekly World News against me. Approved by the club president, the club stooped very low when they used photoshop to publish on their website a picture of me with an Alien. The attorney representing the forger was fed information about the article to make it appear I was crazy. When the attorney asked me if I was the one who offered $1 million dollars for an Alien autograph, the alleged forger broke into laughter. The attorney for the F.B.I. cross examined me. When the questioning revealed that I was paid to write an article for the newspaper on a subject that would attract readers, no one laughed. Based on my testimony for over an hour, the jury found the forger guilty. Upon hearing the verdict from the jury, the forger who once laughed was now crying. He went to prison for two years. One would think an autograph club would do everything possible to promote the hobby and not try to help a forger go unpunished. This may be just one reason why their membership has dropped more than 50% in the last dozen years. Because of so many requests, I have decided to jot down this story and publish it on my web site for all those who still have an interest in this story. Recently, someone with a straight face, asked me if the offer is still good. I'll have to ask my backer! I want to thank all of you who wrote and sent emails regarding the last update on my Holy Bible. I agree with many of you, it was not easy to convince the Dalai Lama to sign the Bible, especially after him seeing it was a Bible and politely refusing to sign it at first. In addition, I’m sorry to refuse to sell the Holy Bible to all those who have requested the same. However, in keeping my promise, I will continue to update the collectors and dealers who insisted I keep them informed on the progress of acquiring additional signatures. 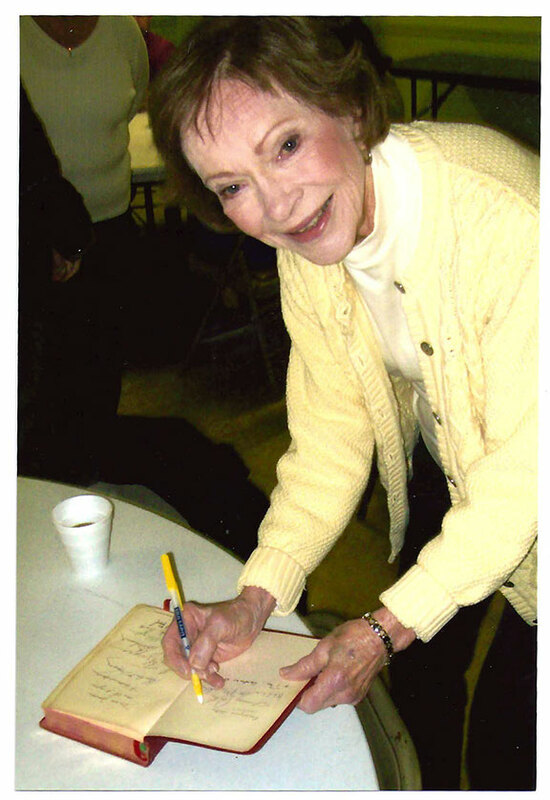 I have met President Jimmy Carter on several occasions over the years but having the former First Lady Rosalynn Carter sign the Bible has not been easy. Both Pat Claren and I knew in advance that we would meet the Carters on this Easter Sunday 2014 but did not expect the following. We arrived in Plains, Georgia at eight in the morning. We were greeted by both President Carter and Rosalynn Carter. The first thing the former president said was, “Lets get something to eat.” Breakfast was being served - scrambled eggs, ham, grits, biscuits, orange juice and coffee. Both President Carter and Rosalynn Carter were casually dressed. In attendance were six secret service agents and two state troopers. There was also a military dog outside sniffing around our car. To sit at a table, one on one with the President and First Lady for over a half hour was a memorable experience to say the least. How many questions can one ask? My first comment to the President was: “With all the turmoil in the world today, and with your experience, would you want to be the current president sitting in The White House”? President Carter’s response: “I don’t” adding his usual smile that seems to reach both ends of the room. 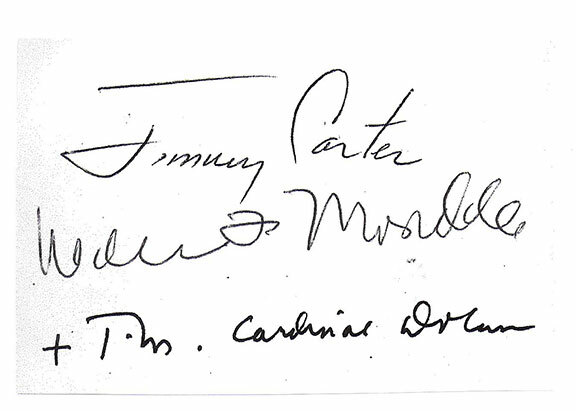 We discussed the day years ago in Washington when he signed my Holy Bible and Carter remembered it well. At that point I felt the opportunity to ask Rosalynn Carter if she would consider signing the Holy Bible above the signature of her husband. She graciously agreed. I took the liberty of cautiously requesting if she would mind posing for a picture of her signing the Holy Bible and she also agreed to that request. who was on the short list for Pope. He also blessed this Holy Bible. I was having a problem with my camera and for some reason it would not take a picture. The screen read “memory full”. This was a great disappointment. Pat Claren sitting elbow to elbow with President Carter took the helm of keeping the conversation going while I fumbled with the camera. I finally figured out what was wrong and did not know where I got the courage to ask the former First Lady if she would mind getting up and posing with pen in hand making it appear she was signing the Holy Bible. Rosalynn Carter is simply an angel and without hesitation got up from the table and did exactly what I requested. My heart is still pounding a day later as I write this. Many things were discussed during our breakfast meeting. President Carter, in my opinion, is a student of the Bible. His knowledge of the Holy Bible is extremely impressing. One question he asked of us was if we knew how the date for Easter Sunday is chosen? He repeated many times that this day, Easter Sunday, was the most important day of the year for all Christians. I wonder how many reading this update know the answer? We did not know the answer. President Carter began to explain in so many words. There are three factors involved. The first equinox of the year falls around March 20. Approximately on this day, the plane of the earth’s equator passes the center of the sun. This means day time and night time are of equal duration. Next, look for the next full moon. After that, the first Sunday will be Easter Sunday. You can thank President Carter for this study. One of Pat Claren’s specialties is signatures of Noble Prize winners. This was her first occasion to actually meet someone who won a prize. For this occasion, she specifically wore a shirt bearing the world famous peace sign. Wouldn’t you know, President Carter picked up on that and commented on how much he admired her shirt. Conversations with the Carter’s were all over the map. He let us know how much he enjoys visiting Palestine and the very special places that we should visit in Israel and Palestine. He mentioned he is going to Paris in two weeks and discussed in detail all the world notables he will be speaking with. That trip will be followed by a trip to Russia in September. We mentioned that we will be in Russia in two weeks. Strangely, discussions that morning were about their future. It was said that President Carter’s mother and brother “Billy” are buried in the public cemetery. President Carter and the First Lady will not be buried in the same cemetery. Their graves need to be protected. They both will be buried outside their home in Plains near the pond President Carter loves to fish. The house and property will be forever protected by the National Park Service police. This conversation was of extreme interest to Pat as she wrote a book on her visits to celebrity graves and is now working on volume two. After a lot of small talk, to our surprise, President Carter stood up from the table and reached over and gathered Pat’s plate and mine. He went into the kitchen and dumped the trash in the can. After many thanks for all the time extended to us, we shook hands. The Carter’s went to change their clothes into something more formal. We went outside for a memorable photograph. 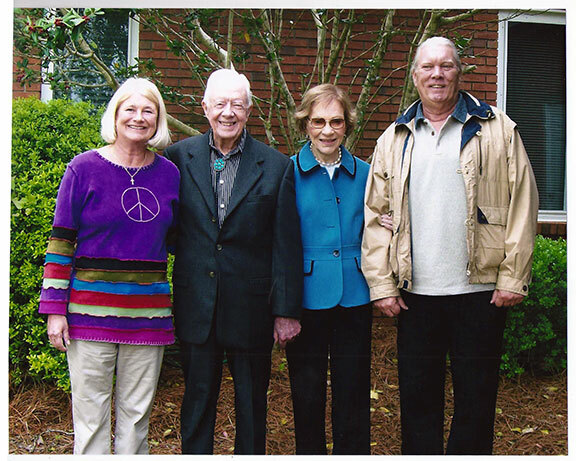 Jimmy Carter put his arm around Pat and Mrs. Carter held my arm. President Carter is now 89 years old and Rosalynn Carter is 86. They are the most wonderful two people anyone would want to spend some time with. For decades Stephen Koschal has avoided offering speedy opinions when it comes to authenticating autographs. This is because of his experience more than once inside company’s who claim to authenticate autographs. He has observed how most authenticating companies have little or no reference material in the place where they work yet give an opinion to their customer. Not long ago I was in the back office of one of those ABC type authenticating services watching the “opinionator” respond to an authentication in just a few seconds. Some of these companies even admit on their web site they can only take a quick look at the scan before giving an opinion. 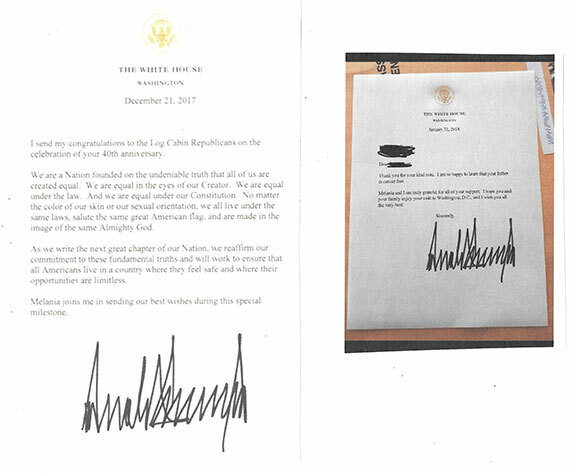 The only reference the “opinionator” used was what he remembered in his own head what he thought the signature should look like. In another instance, with another one of the high profile companies, the youthful “opinionator” was looking at an auction house web site to see if he could find a match. When he couldn’t find a match he logged onto ebay to see if there was a similar name up for bidding. Then you wonder, why there is such a large amount of mistakes made with these speedy authenticating services? You could do the same job. Even worse, in most instances you will never know who at the authenticating company gave their opinion. The service we are now offering began because of requests from our regular loyal customers. They are used to sending in the original item they purchased to get a professional opinion which we still do. After an item is purchased it takes time to pay for it and more time for the payment to clear. It will take several days for the customer to receive the item in the mail, and then more time is spent when the customer mails the item to me. If the item proves to be not genuine, usually the time has expired to be able to return the item to the seller. Collectors and dealers are purchasing more autographs via auction houses, even International ones, and have a need to get a respected opinion before they bid on the item. No quick looks here! We do the opposite. For this reason we have established a “Researched Autograph Opinion” service. This can be done in a timely fashion, usually within hours, and our opinion will be based on researching the questioned signature. The research will be done in our facility which maintains almost 50 years of collecting and filing exemplars in every field. On our premises, we also maintain one of the most significant autograph reference libraries in the hobby with books on autograph collecting dating back two centuries. The signature you need researched must be written in ink or pencil. Our opinion will be based on that fact. If the scan of the signature you send us is a printed facsimile or a laser print it may be impossible to render an educated opinion. We will be able to determine if the signature was signed by the Autopen machine. On multi-signed items you can choose one or several signatures to be authenticated, however, there will be charges for each signature researched. In some instances we may not be comfortable rendering an opinion and our response will be “inconclusive.” In this case your payment will be credited to your next authentication. All the major high profile authenticating companies as well as ebay have asked for our opinion on autographs multiple times. 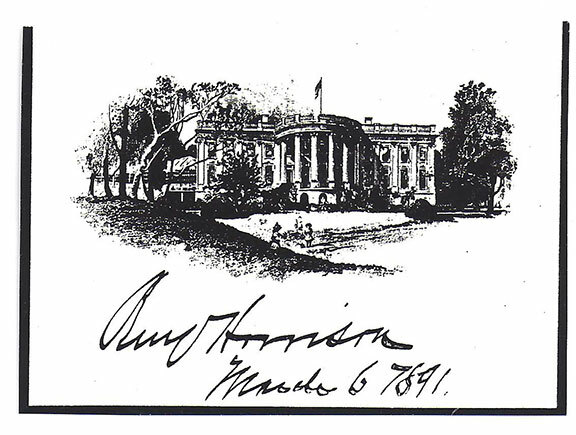 Many collectors of signatures of the Presidents of the United States prefer signed examples of Executive Mansion, White House and The White House cards. The first to sign an Executive Mansion card is Ulysses S. Grant and there is believed to be only one known genuine example. The second scarcest signed card are those of Benjamin Harrison. Only a few examples are known to exist. While being President for only 198 days, it is a fact that in the last forty years more Executive Mansion cards signed by James A. Garfield have appeared on the market than those signed by Benjamin Harrison. Benjamin Harrison was President of the United States from March 4, 1889 through March 4, 1893. During this time he responded to autograph requests. His favorite medium was to sign the engraved Executive Mansion Vignette. It depicts the view of the south portico of the mansion with children on the lawn. 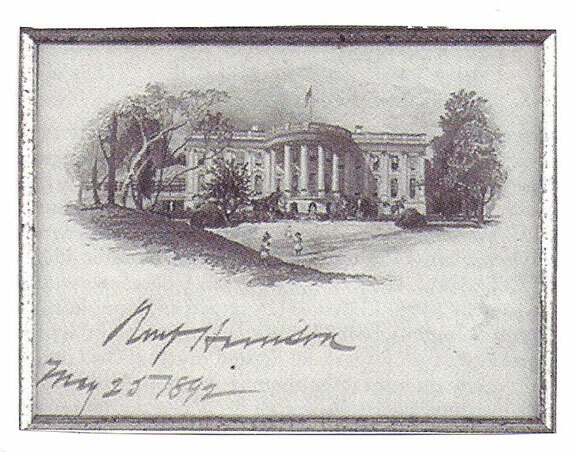 From my research it is believed that Harrison preferred to sign these cards over an Executive Mansion card. Also discovered from research available at this time is that it appears Benjamin Harrison dated his signature on these vignettes when signing as President. There is another engraved view of the Executive Mansion which is of the front approach to the building. It shows many carriages and people in the wide drive. Engraved Vignette of the Front Approach to the Executive Mansion. Until now, I have not seen one example of the vignette of the front approach signed and dated by Harrison as President. Many examples of both style vignette’s have been simply signed by Benjamin Harrison. However, it is now believed that Harrison signed most of these post president. Those who collect signatures of the presidents while in office may want to avoid Executive Mansion Vignettes not dated by Harrison. Benjamin Harrison was in office for 48 months. After leaving the Executive Mansion he received numerous requests for his autograph. Now it can be said that Harrison had an unlimited amount of both engraved vignettes that he used for replying to autograph requests. 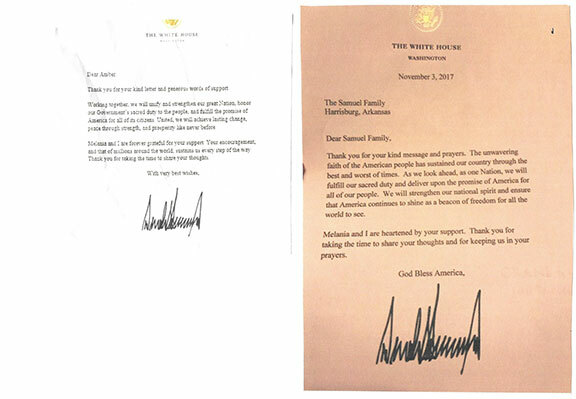 As long as 45 months after leaving office he was still using these vignettes to respond to autograph requests. He may still have been using these cards up to the time of his death on March 13, 1901. Also most interesting is that Benjamin Harrison, in writing, was referring to the Executive Mansion as the White House. It seems that the building was informally called the White House since around Thomas Jefferson’s day but the name was not officially changed until Theodore Roosevelt signed an Executive order in 1901. 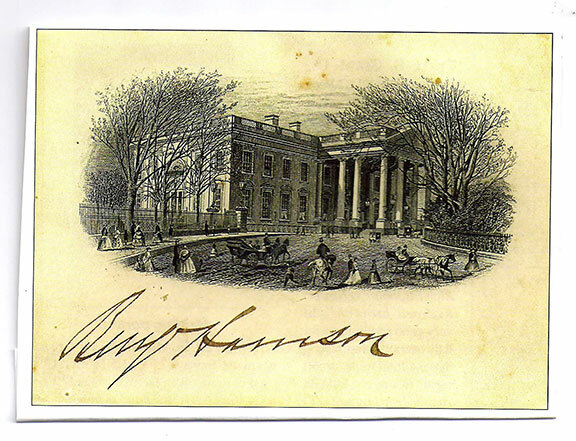 In closing if collectors want to add a signature of Benjamin Harrison as President to their collections and can‘t locate an Executive Mansion card signed it may be wise to add a vignette signed and dated as President. It is also important for dealers to be able to describe these signed cards correctly. This story was written exclusively for Autographensammler, the quarterly magazine for the International Autograph Club based in Germany. There’s been much gloom and doom devouring the autograph hobby for more than a decade. Some believe 50% or more of the collectors of autographs who were once active have left the hobby. A rapid and steady decline in membership in the one or two clubs in the United States left standing is confirmation. Just recently, one of the original ten dealer members finally gave up his membership in one of the clubs stating “I just don’t get a thing for my dues...the club is nothing more than a web site...” Another major dealer said this week "...I thought they went out of business a few years back..." Most major and respected autograph dealers are also not members of that club. Does it make sense to anyone, why one organization would use someone from another club, who is responsible for the loss of 50% or more of his own club’s membership, and give him a position to be in charge of growing membership? At best, this seems like someone in management is driving on the wrong side of the road. Makes absolutely no sense! On another note, some people, with not the best interests of the hobby, have filed law suits against the good guys. There is no other purpose but to stop the truth from being told. The tables are turning slowly with plenty of good news on the horizon as long as you have the gumption to hang in there. Many believe clubs should be leaders in the hobby. What’s left are club’s with problems either having little direction or have a political agenda. They have become places that do little more than collect dues. For some time, others feel there is no professional club active in the United States geared toward general collectors. On the bright side, there is one autograph organization taking the bull by the horns and that’s the International Autograph Organization www.Ada1986.de with its headquarters based in Germany. You may have seen this club’s logo displayed in dealer’s catalogs and on their web sites. They hold a fabulous yearly convention that attract collectors and dealers from around the world. All new members get one free advertisement in the club magazine. We have heard from some new dealers and auction houses that will be joining the club shortly. Another bright side is regarding autograph authentication. Who can deny the company who has the most accuracy in authenticating autographs is with out a doubt Isitreal. Their team of experts is second to none. Each member of the team can be called an expert in their field. Our hats off to Markus Brandes, Rolf Ramseier, Andreas Wiemer, Ralph Hahn, Peter Mueller and Florian Noller for holding this distinction. I have personally sat with this group while authentications were taking place. I witnessed this team of experts verbally dissecting an autograph. Fully discussing the autograph amongst each other before a decision was reached. This is so refreshing to experience as compared to what goes on elsewhere. Truly educated opinions from real experts are available at www.isitreal.com. Have you seen Issue One, Volume One, 2014 of the new Autograph Quarterly magazine? The magazine has new ownership and a new look. Autograph dealer and show promoter Kevin Martin has purchased the magazine from London based collector Samuel Xidas. 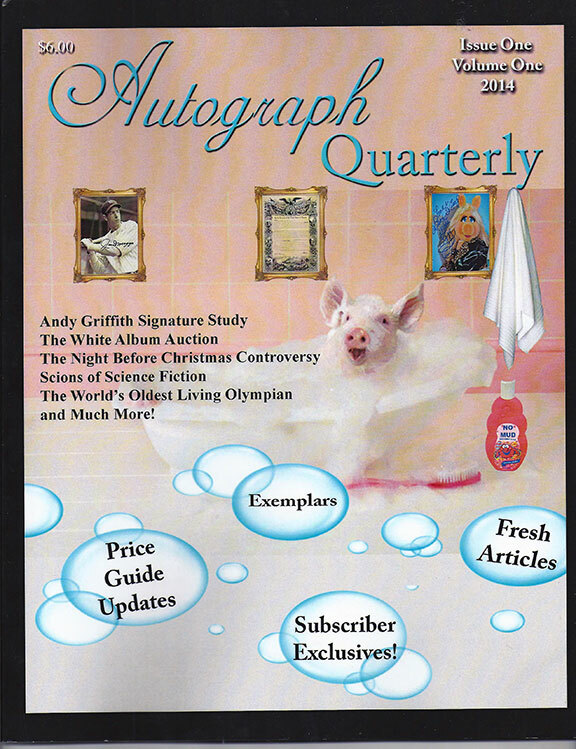 Autograph Quarterly is called the only in-print magazine in the hobby. Subscribe to the magazine if you want to participate in keeping this hobby of ours healthy. The new publisher promises to bring in the timeliest news and the greatest writers in their field in each issue. It is evident the magazine is starting out strong. It has new advertisers, many more then when the magazine was previously owned. Issue number one contains eight different stories touching on different areas of collecting. Included are several Regular Features, Tips for the Trade, What’s Hot and What’s Not, Auction News, Exemplars and more. For several years, the UACC (Universal Autograph Collectors Club) has been offering collectors what they describe as a signed 8”X10” photo of Carl Muscarello, “The Kissing Sailor.” These have been selling for $25.00. The problem is that it has been well known that Carl Muscarello is not the Kissing Sailor. At least 10 men, including Carl Muscarello, came forward after the war claiming they were the sailor in the Times Square kissing photograph. Each of them had to know that they were not telling the truth. Why the UACC continues to sell the photo signed by Muscarello as the Kissing Sailor is baffling. For several years it has been known that the Kissing Sailor is Glenn McDuffie. McDuffie was a mail carrier and semi-professional baseball player. Six years ago a forensic artist for the Houston Police Department was able to identify McDuffie as the young sailor leaning over the woman and kissing her in Times Square, New York. The artist was able to match muscles, ears and some other features of 80 year old McDuffie to the sailor in the original image. The forensic artist is named Lois Gibson who is listed in the 2005 Guinness Book of World Records for helping police identify more suspects then any other forensic artist. In addition, McDuffie had passed several polygraph tests. 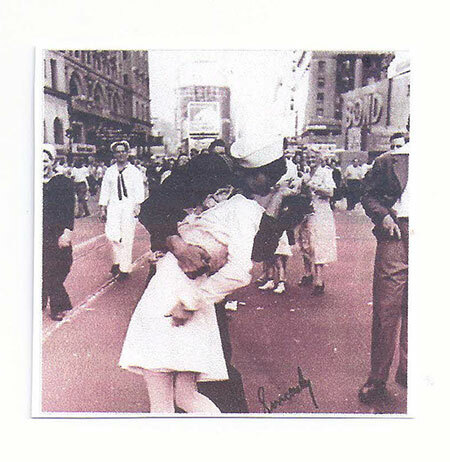 Glenn McDuffie is the sailor in the famed VJ Day kiss in New York’s Times Square that gave rise to one of the 20th century’s most noted photographs. He passed away on March 9, 2014. He was 86 years old. Signed photographs of McDuffie as the kissing sailor are scarce. Those who purchased photo’s from the UACC signed by Muscarello should be asking for a refund. 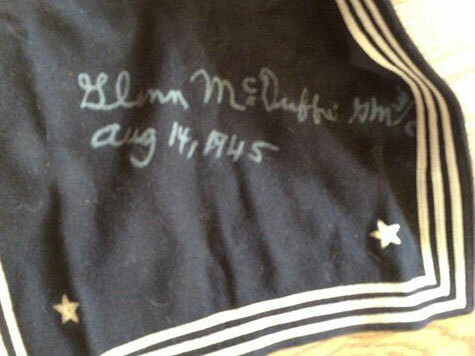 Note: The original blue Navy Jersey that Glenn McDuffie wore when he kissed Edith Shain in New Square, New York City is presently owned by Todd Mueller Autographs. At Mueller’s request Glenn McDuffie signed the Jersey as well. Stephen Koschal, autograph dealer and authenticator has been personal friends with Senator Mark O. Hatfield for over 20 years. Koschal has helped Senator Hatfield build up his autograph and rare book collection. The two spent many hours together in Hatfield’s home in Georgetown and also in his Senate Office in the Senate Hart Building and his office in the U.S. Capitol Building. 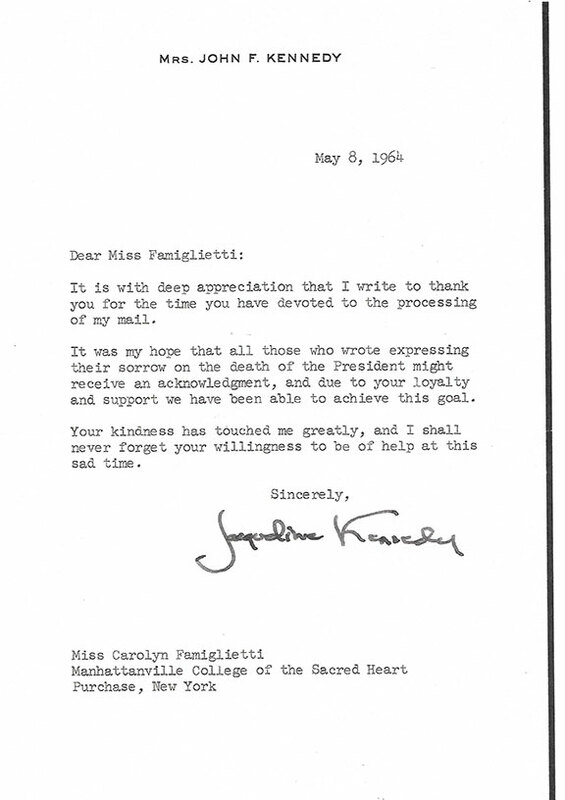 Koschal was instrumental in advising Hatfield of the value of Hatfield’s personal library and his outstanding collection of letters from several presidents. It was Koschal who advised Hatfield early on to start donating some of his papers on a yearly basis to Willamette University. Koschal would appraise the papers and signed the appropriate Federal Tax forms. Senator Hatfield’s main focus on collecting was anything about his mentor Herbert Hoover. It was Koschal’s focus to see that Hatfied acquired signed books of every book written by the former president and books signed by earlier presidents. Senator Hatfield was Chairman of Ronald Reagan’s Inauguration Committee. During Inauguration Day a limousine pulled up to the U.S. Capitol Building and Senator Hatfield and Ronald Reagan exited the limo and walked up the stairs to the Capitol. The books Hatfield was carrying were books belonging to Stephen Koschal. After the swearing in ceremonies, a luncheon was held. Hatfield dined at a table of ten which included President Ronald Reagan. Reagan signed and dated those books during that luncheon, they were the first signatures of Ronald Reagan as President of the United States. Senator Hatfield was a very generous man. Some of the gifts he gave Koschal were a handwritten Presidential “Oath of Office” by Ronald Reagan on Reagan’s finest White House stationery. A photograph was taken by the White House photographer of Reagan writing out the Oath of Office. Hours later, Hatfield went to the Office of the Vice-President and convinced George H.W. Bush to write out the Vice-Presidential Oath of Office on his finest stationery. There can be many stories told by Stephen Koschal of lunches in the Senate Cafeteria, about the many private subway rides between the Senate Office Building and the Capitol and the many private tours behind the scenes in the Capitol not open to the public. 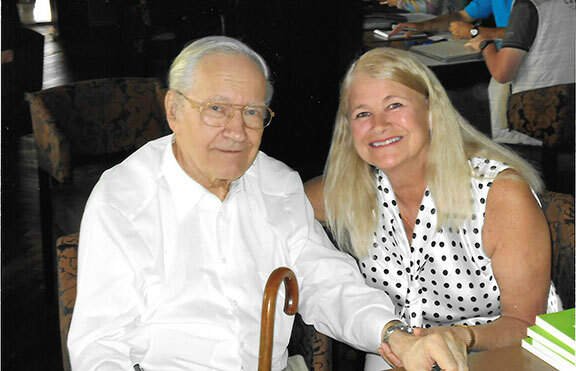 Senator Hatfield was a very religious person, a great human being and a very dear friend. It is for this reason that Stephen Koschal has donated his 20 plus years correspondence from Senator Mark Hatfield to the Mark O. Hatfield Library at Willamette University in Salem, Oregon. So many of our friends both here and abroad have enquired about the current status of our Holy Bible. This Bible has been signed by many Presidents and Vice-Presidents of the United States beginning with Herbert Hoover and Harry Truman.. Since we last wrote about the Bible, we met with the Dalai Lama. He knew well in advance that he agreed to sign a book for us. What he did not know was that the book he would asked to sign would be a Holy Bible. When we got together and the Bible was placed in front of him for his signature, he appeared to be in a quandary. He looked up and reverently said “I do not sign books I did not author.” It was explained to him that many United States Presidents and Vice-Presidents who take their “Oath of Office” on a Holy Bible have signed what he holds in his hands. After being shown all of the signatures he stated: “I want to add my name to these important people.” After changing his mind, the Dalai Lama once again looked through the pages and chose the one where President Bill Clinton and Vice-President Al Gore signed their names. The Dalai Lama wrote: “with prayers, Dalai Lama, 2010, 10.5”. It is believed that this is the only Holy Bible that the Dalai Lama has ever signed. Not long ago history was made. On the 28th of February 2013, Pope Benedict XVI announced to the world that he would resign. He became the first Pope to resign in almost 600 years. It wasn’t long before a short list of names arose of those who were thought to have a good chance of replacing Pope Benedict. One of the papal contenders was New York’s Cardinal Timothy Dolan. 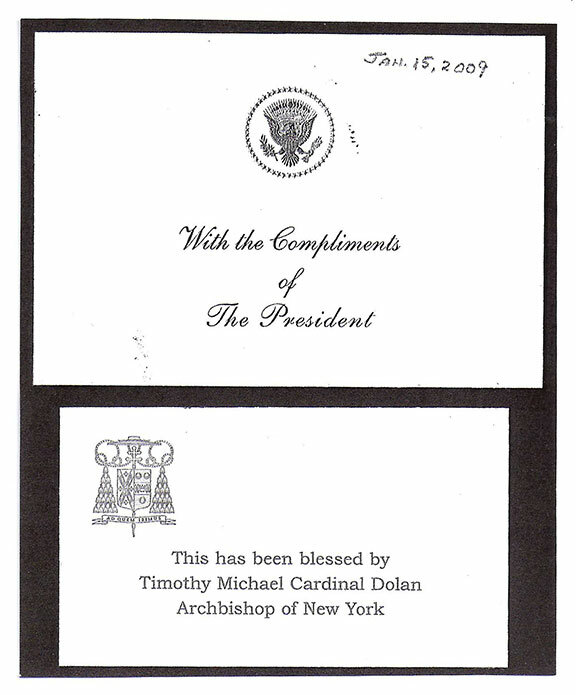 We had a small window of time to contact Cardinal Dolan before he flew to Rome. We were successful to get through to the Cardinal and he agreed to not only sign our Bible but to Bless it as well. Cardinal Dolan’s humor is known world wide. Dolan downplayed his chances of succeeding Pope Benedict and in Rome he said to reporters: “I’ve got a better chance following A-Rod at third base for the Yankees then following Benedict XVI as the Bishop of Rome”. Dolan was appointed Archbishop of New York by Pope Benedict XVI and Time Magazine named Dolan one of the “100 Most Influential People In The World”. Many thanks to all of you who have requested an update on the Bible. There have been many articles written on the Internet warning collectors about the many dangers of collecting hair supposedly from the heads of famous people. Many became instantly educated after a large amount of hair reportedly from the head of Elvis Presley was sold at a major Chicago auction. After DNA testing, it was proven the hair was not Elvis Presley's. The popular scam of selling questionable celebrity hair seems to be easy money for the quick buck artists. You don’t have to be an expert on hair, and who really an be, to understand how easily it is to get ripped off. All one has to do is study carefully the wording of how the seller describes the item. Case in point. The only person proven to have hair clippings of Neil Armstrong is Todd Mueller Autographs located in Colorado Springs, Colorado. He purchased the hair directly from Armstron's barber. When questioned by some jealous competitors, Mueller produced his cancelled check made payable to the barber for the hair. One seller in England claims he has hair from Neil Armstrong. This seller describes the hair he has this way. "Neil Armstrong Authentic Strand of Hair for Sale." He’s asking $75. How does anyone know, including the seller, that the hair he is offering is genuine? Here’s what he has to say when offering the hair. "Included with the hair is a copy of a sworn testimony from Neil Armstrong’s barber declaring the hair to be genuine." The testimony is a copy! Thousands of copies could be made. And what was used to make the copy? Another copy? Matter of fact, anyone can now be a seller of what they claim to be Neil Armstrong’s hair. They can make more copies from the sellers copy and attach anyone’s hair to it. This item can be offered in unlimited quantity over decades. The seller goes on to say: "This is a highly sought after piece of history with impeccable provenance." Educated collectors know well that a copy of a statement from an unnamed source, means absolutely nothing. To be insulted by saying this is impeccable provenance only adds to the insult. The seller continues: "This approx. 1/16th piece of Neil Armstrong hair is presented on a display card perfect for framin". What collectors are being offered, is a very small piece of hair (basically can be from any one's head) placed on a card that has nothing to do with Armstrong or his barber. The card comes with a copy of a testimony. Impeccable provenance? It is nothing more than a minefield of BS. The above not only illustrates how an uneducated collector can be tricked into buying what they were sold is Neil Armstrong's hair, but they can also fall into a similar trap when hair is offered from the heads of other celebrities. It seems for a period of time, the hobby of collecting autographs had a major turn down. The lack of autograph events where collectors and dealers were able to mingle and trade stories and exchange educational information became almost non-existent. Some autograph organizations which were once popular seem to fade away. Memberships have dropped to record lows. The influx of some undesirables selling forgeries, others enhancing autographs and knowingly mis-describing them has become routine. The hobby gets a very bad score and adding to that is the involvement of authenticating companies that simply are unable to authenticate an autograph. This has brought the hobby to new lows. Proof is only to read of the mistakes made by these groups where the basic rules of authenticating have been broken. Passing secretarial signatures as genuine are a regular occurrence not to mention the constant failing of genuine signatures. Passing printed signatures, passing machine signed signatures and quite often passing rubber stamped signatures as genuine is simply not acceptable. Dealers and some auction houses are getting pressure (strong arm/ mafia type tactics) from some of these authenticating companies by having their genuine autographs fail after the collector makes their purchase. Unless the dealer or auction house pays the authenticating company to authenticate their material in advance of the sale, this unsavory practice will continue. We need to get our hobby back from the charlatans who have invaded and polluted the hobby. One way of doing so, is for those who want to see this once great hobby survive, is to promote it with other people who also have good intentions. In my recent travels to India, I have met quite a few who have shown an interest in promoting the hobby. It seems no matter where I travel promoting autograph collecting, those I have spoken with all ask similar questions. The question most asked is: “Now a days, who can I trust?” It was even more evident on my recent trip through the South Pacific. I traveled to the Hawaiian Islands, Fiji, Samoa, New Caledonia, Australia, Tasmania and New Zealand taking to collectors and dealers. It is most important for all of us, that have good intentions for the hobby, to form mutually beneficial partnerships. A good start is by joining an autograph organization that is alive and well and void of politics and corruption. 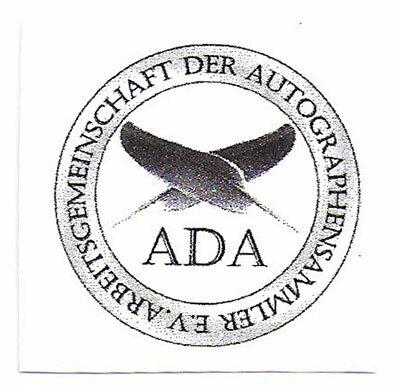 My recommendation is the wonderful International autograph club called “AdA1986” which is headquartered in Germany. Their membership is worldwide. The question above was “Who can I trust?” can simply be answered by looking for the Ada club logo before doing business with any autograph dealer. You will find each dealer very friendly and knowledgable and honest. The ADA, magazine which comes out quarterly, has articles in English. Matter of fact, the next issue will have two articles by me, one is about Marlene Dietrich and the other titled “Leaders of America”. The ADA and its members have been very successful spreading awareness of the hobby throughout the globe. Because they stand out, they gain membership loyalty which inspires members, like myself, to promote the club. Members are people, not numbers and this group goes out of its way to build personal relationships through their meetings and dealer interaction with collectors. In the meantime, I will continue to promote the hobby of autographs. My next trip will be this May. I will be visiting Helsingborg and Stockholm, Sweden, Copenhagen, Denmark, Tallinn, Estonia, Helsinki, Finland and St. Petersburg, Russia. I especially look forward to meeting some collectors and sellers of autographs in Russia. During the last several years there has been an influx of forgeries and stolen political documents coming from Russia to the United States. Russian authorities are watching dealers inventories on the Internet. I recently spoke for almost an hour at the last AdA meeting in Berlin regarding these issues and replevin see www.autographplanet.com/forum/autograph-club-meeting I have also been working with law enforcement and Homeland Security regarding this subject. All collectors or autograph dealers who may want to meet with me on my next trip are invited to email me at skoschal@aol.com for an appointment.